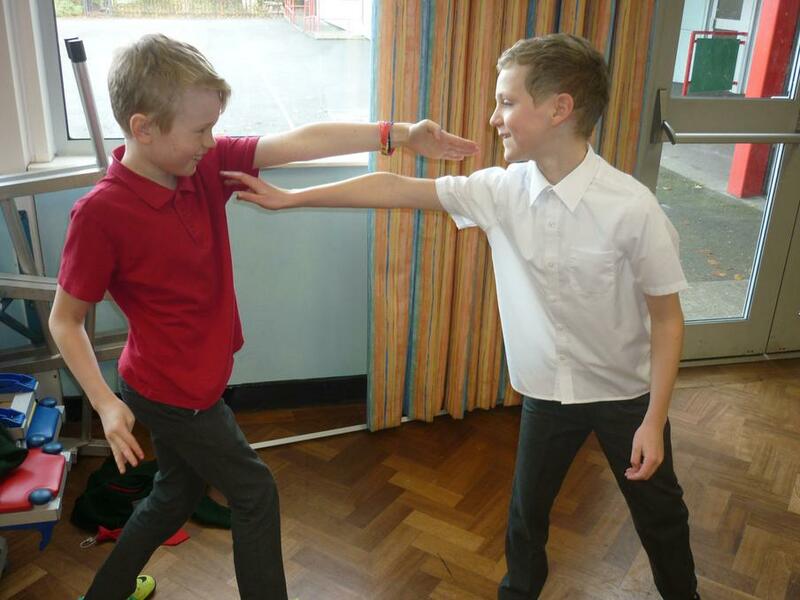 In English, we will be exploring classic fiction and looking specifically at the 'Just William' books by Richmal Crompton. 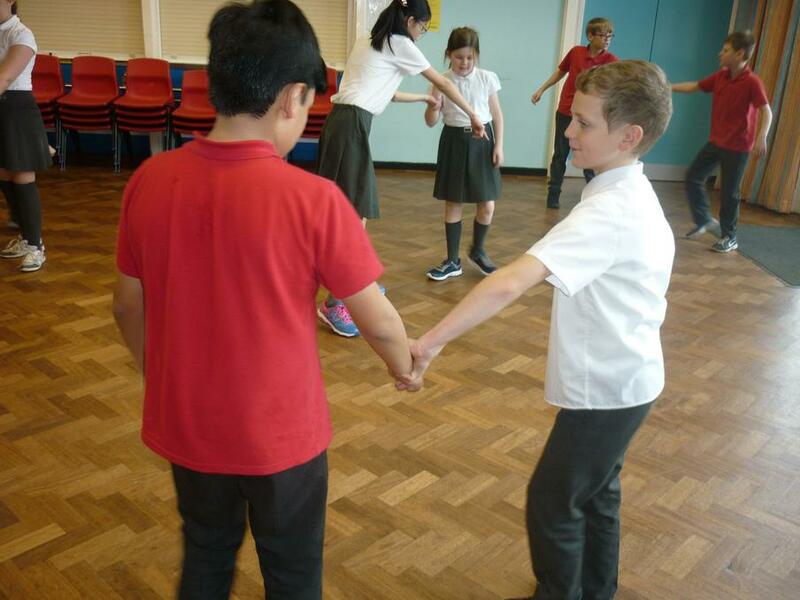 Our computing work will focus on coding and debugging simple games and apps. 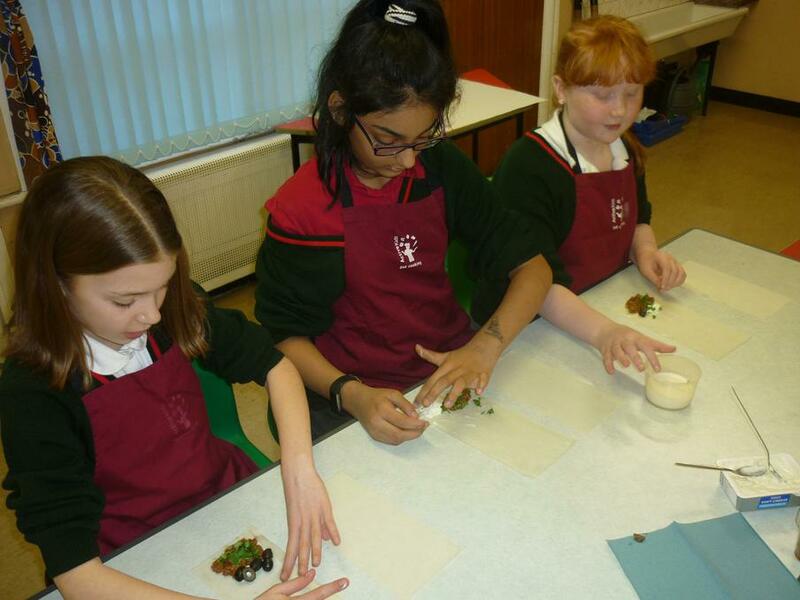 In Art, connected to our Islam topic, we will be working on Islamic calligraphy and also traditional henna patterns. 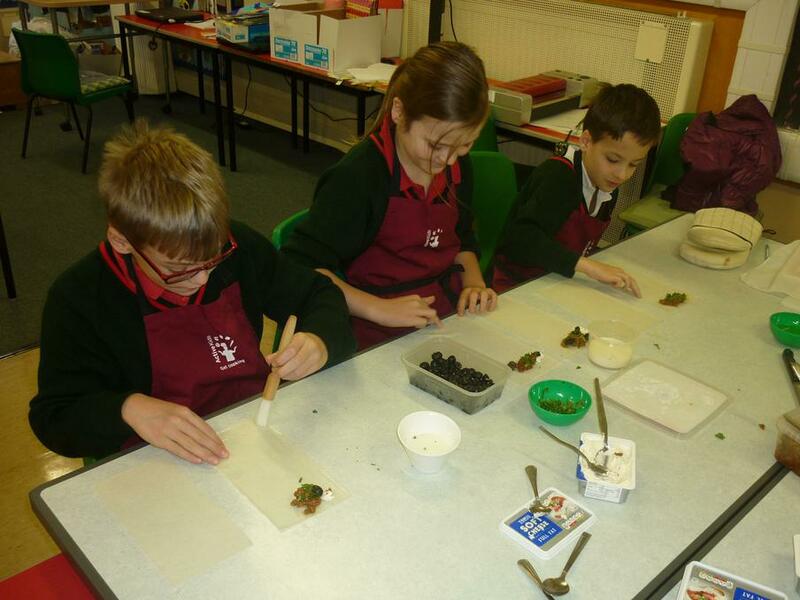 It certainly will be a busy term. 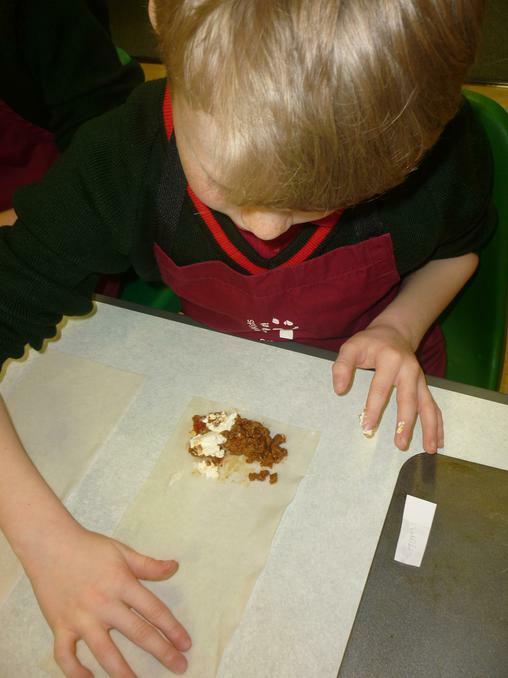 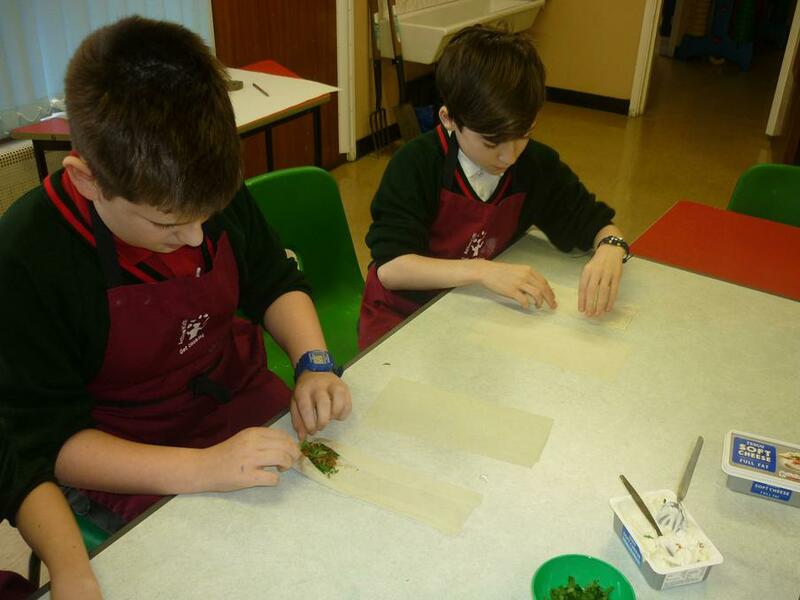 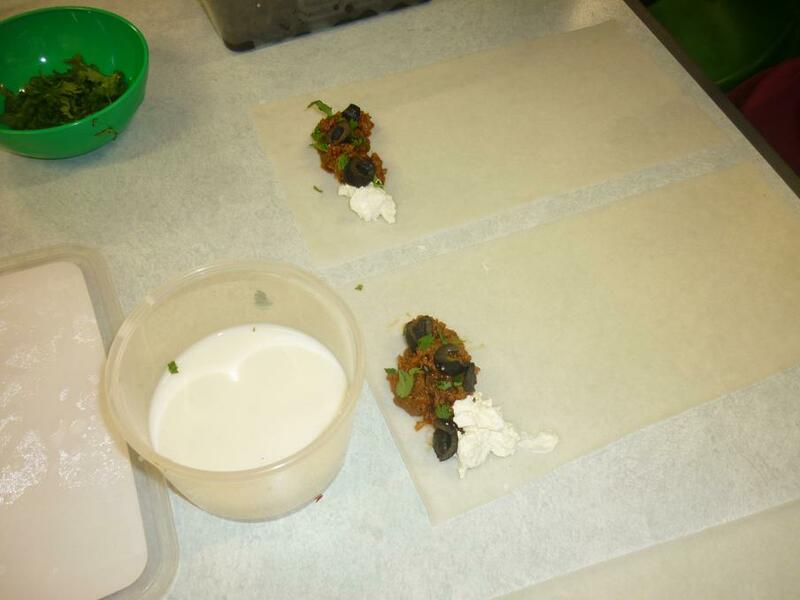 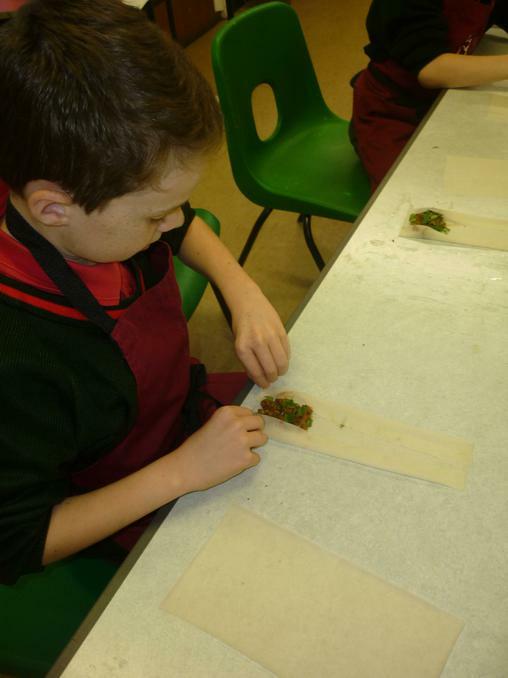 Today we made Middle Eastern savoury pastries called 'borek'. 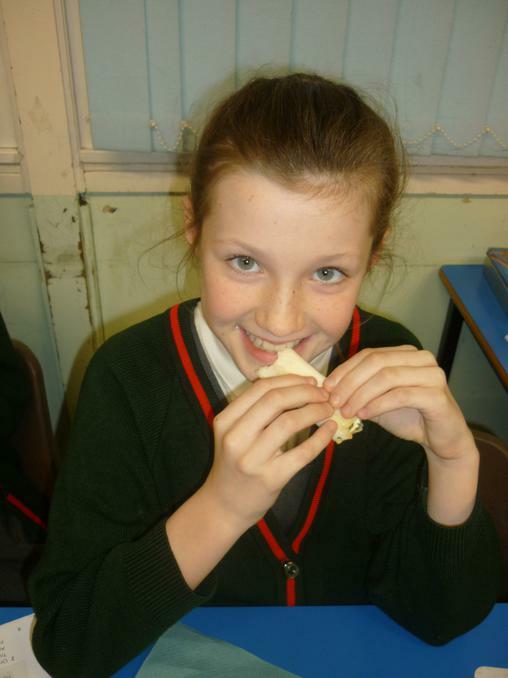 The best part was eating them! 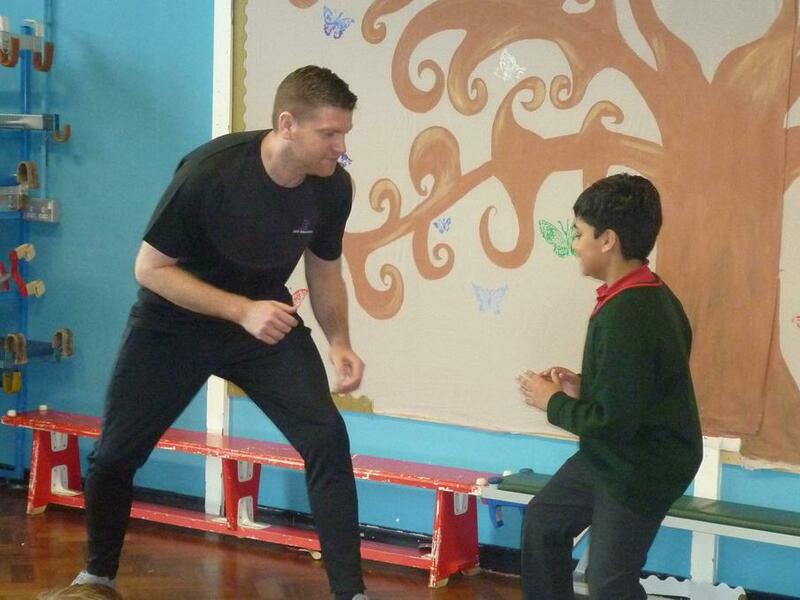 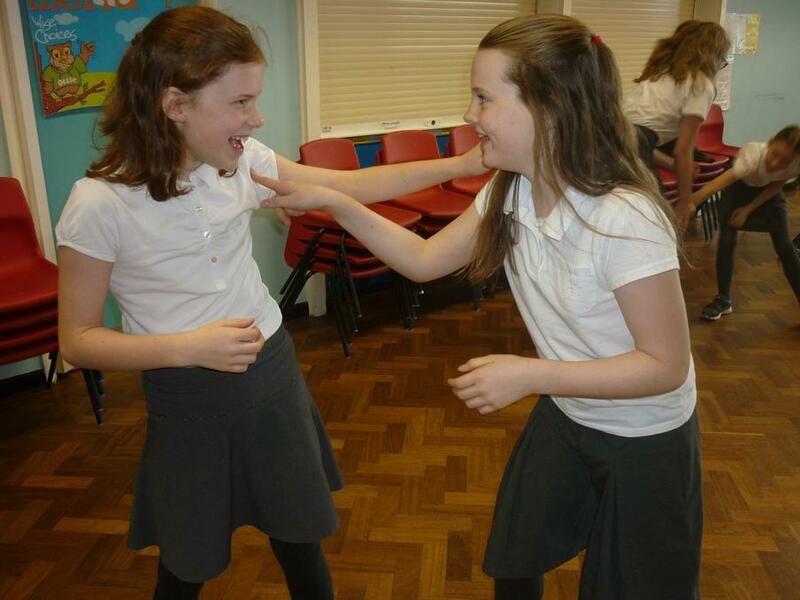 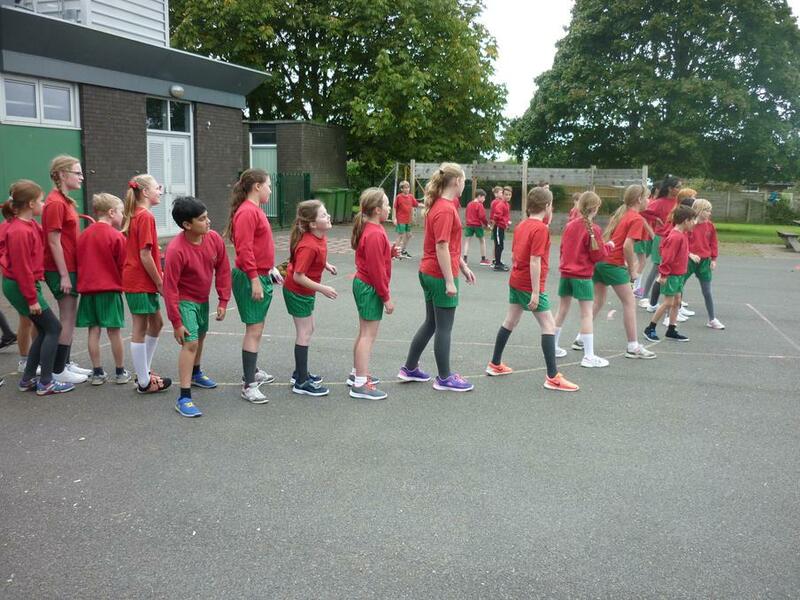 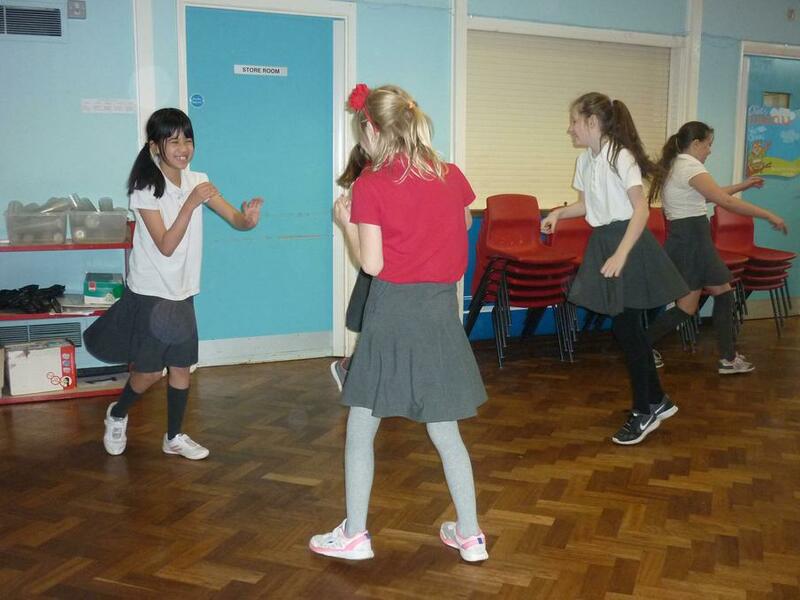 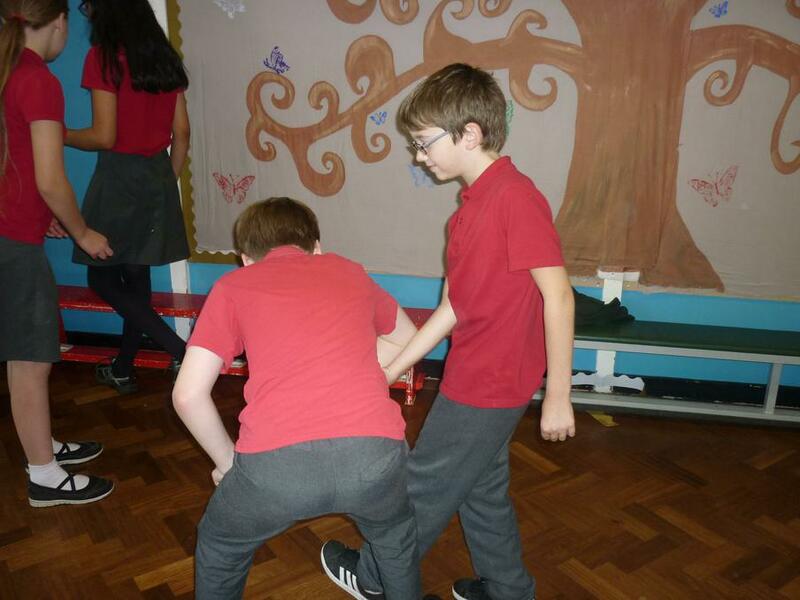 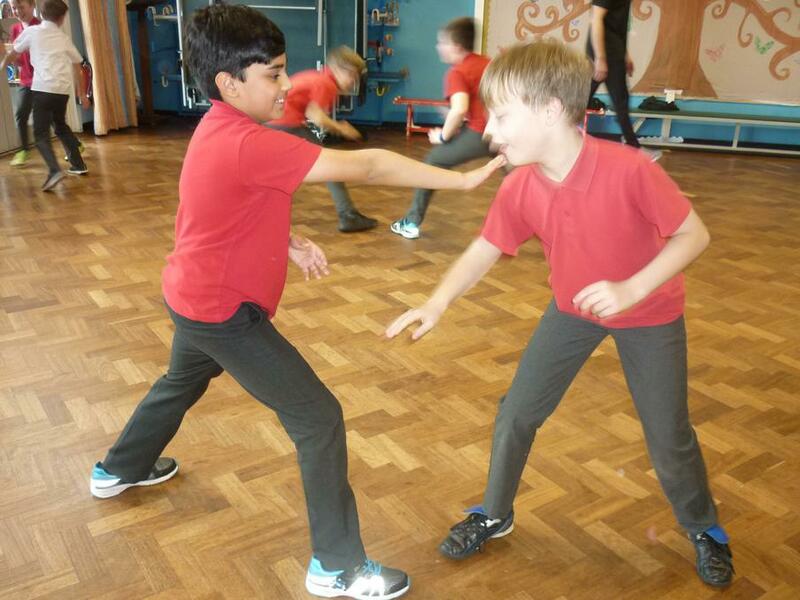 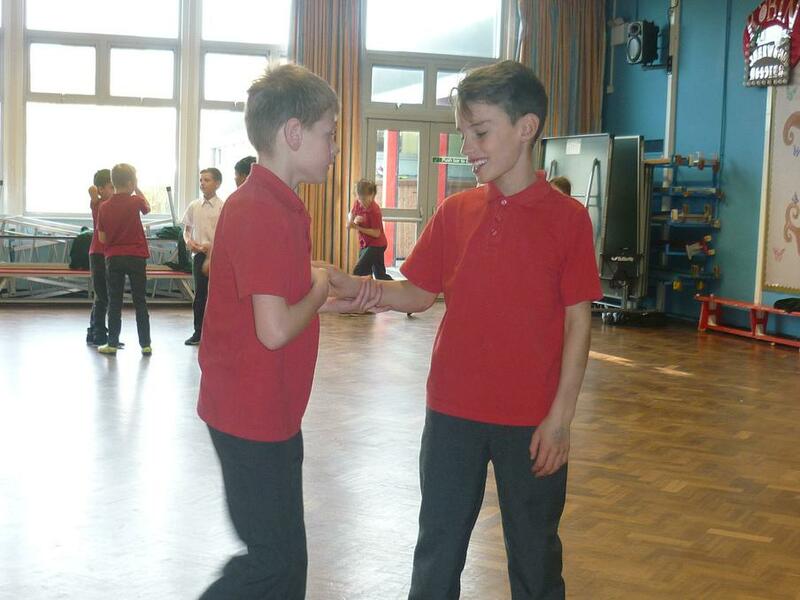 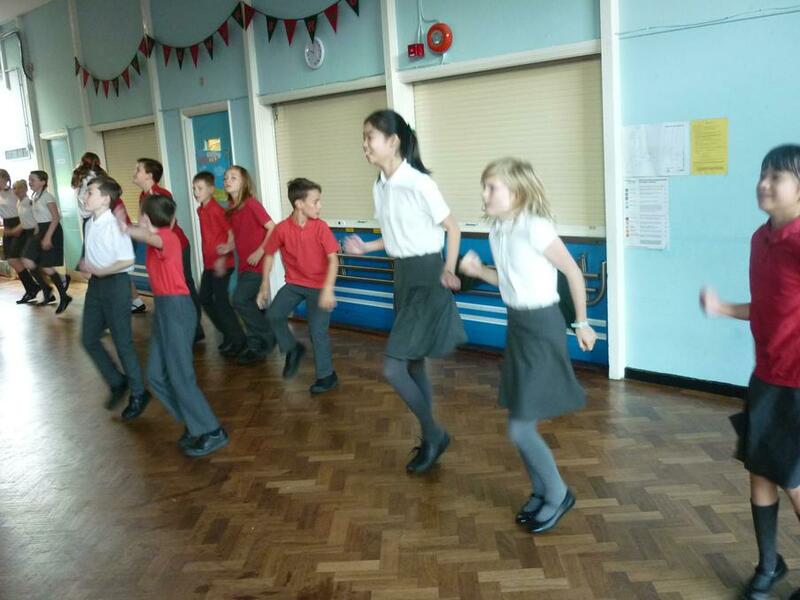 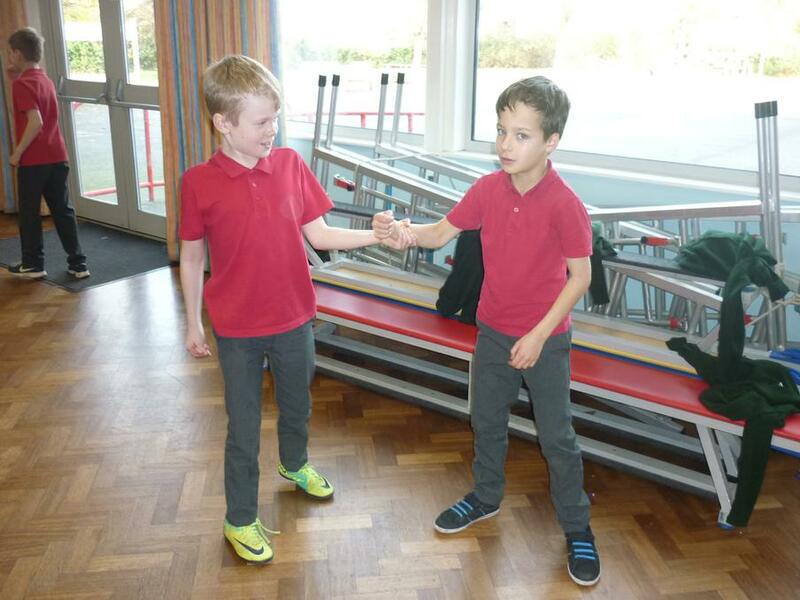 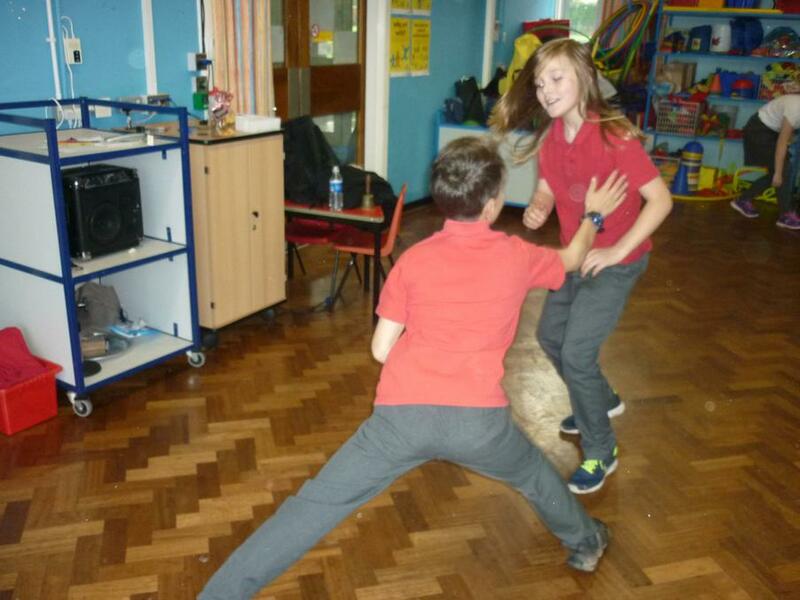 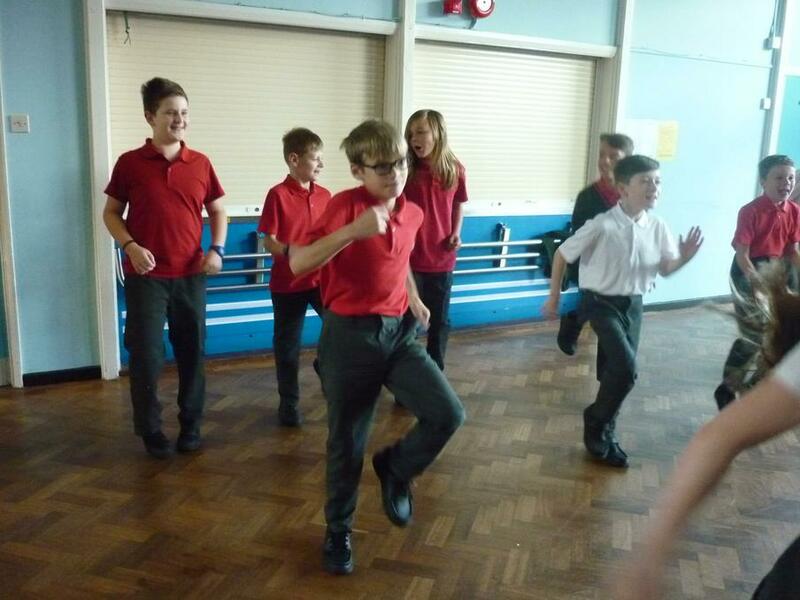 On Friday (17th November) Year 6 had a self defence session run by judo education. 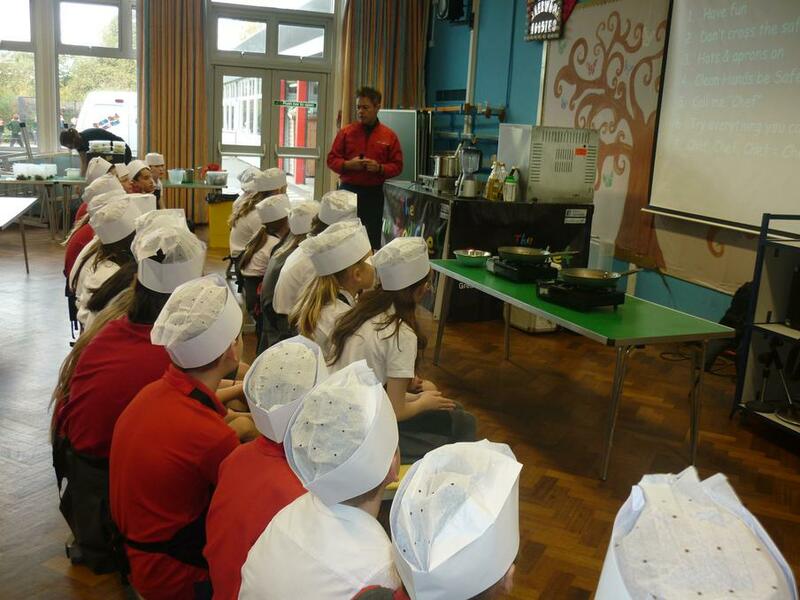 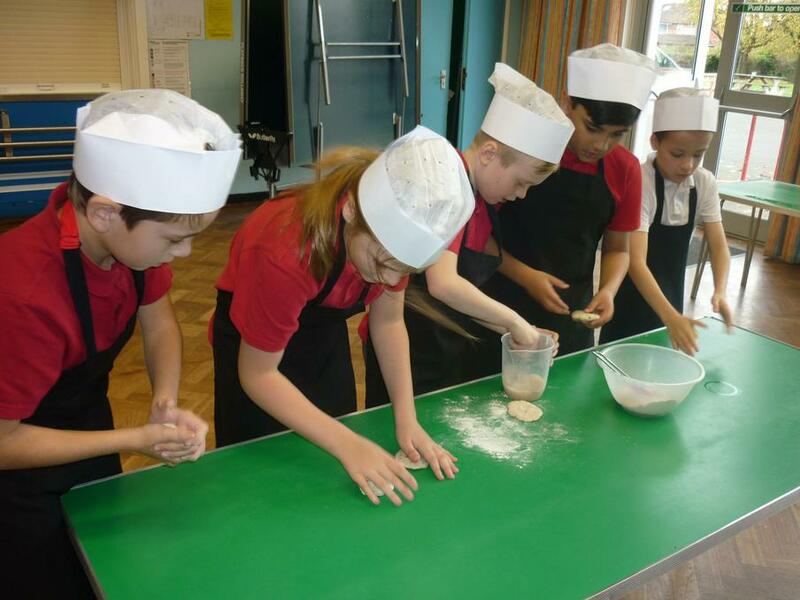 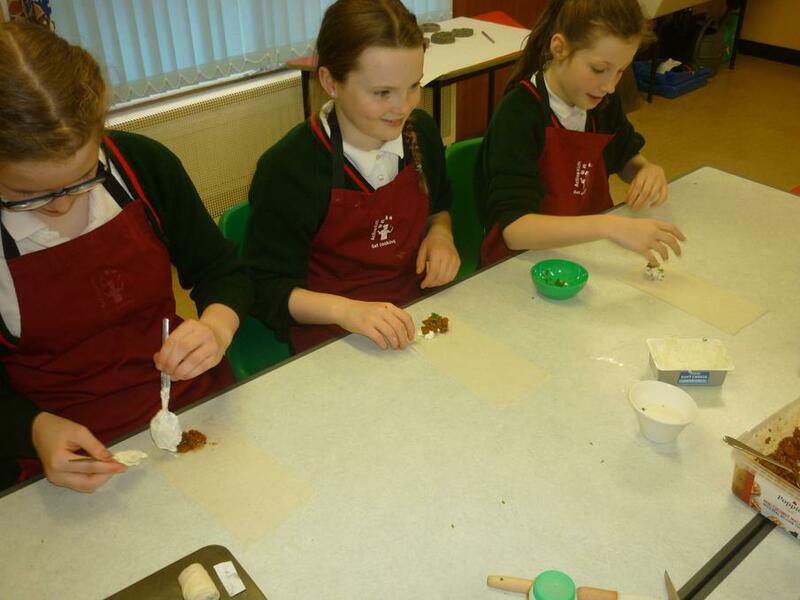 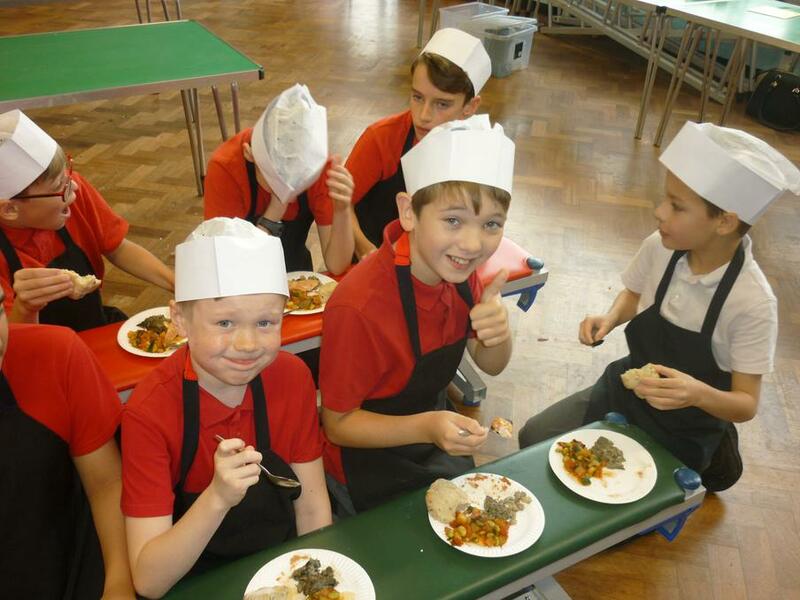 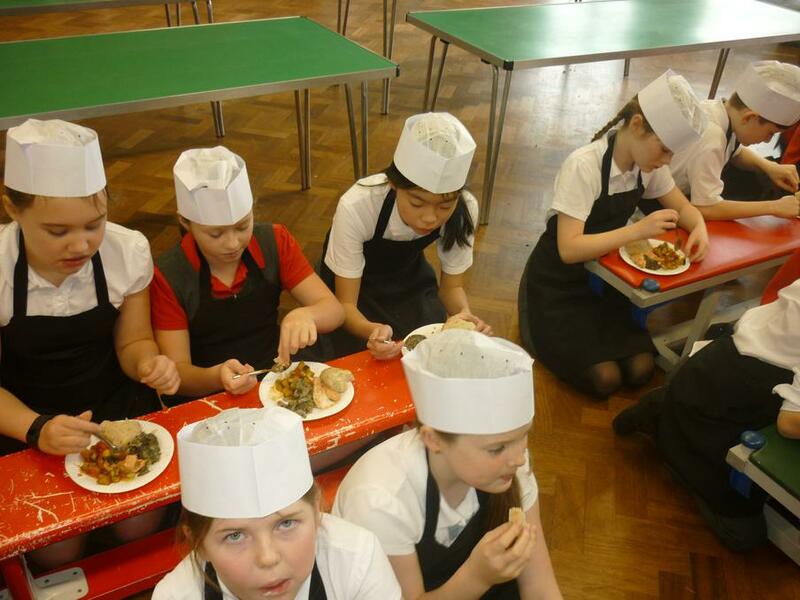 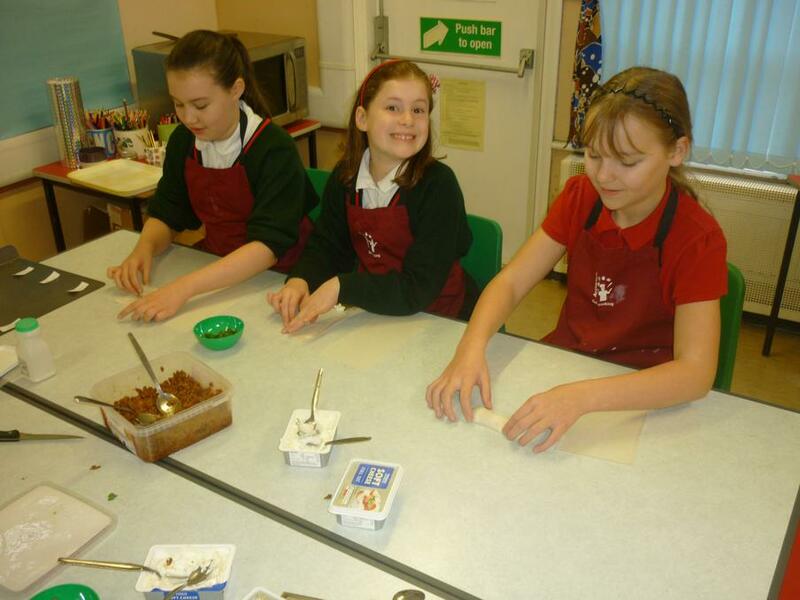 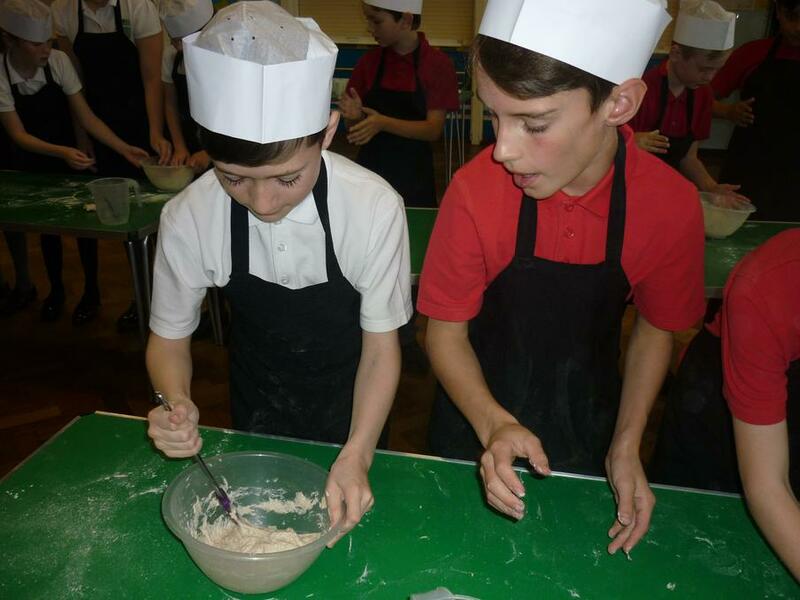 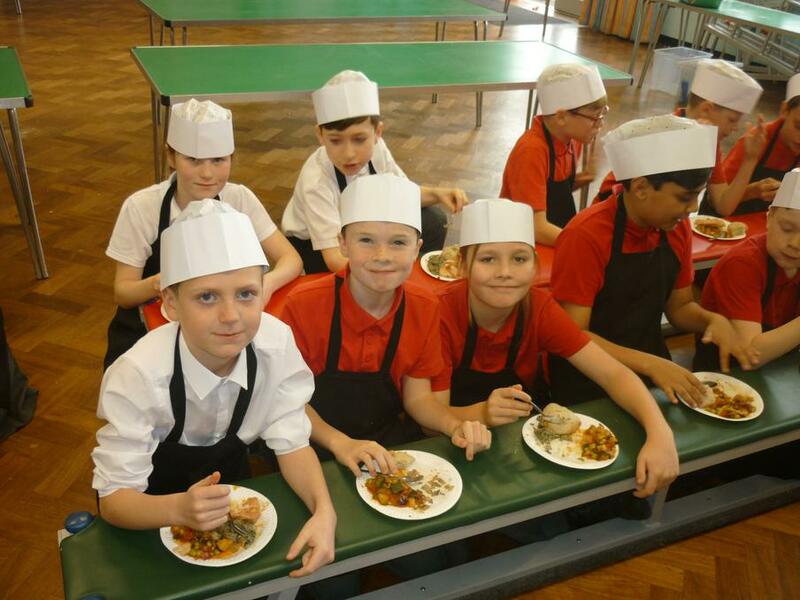 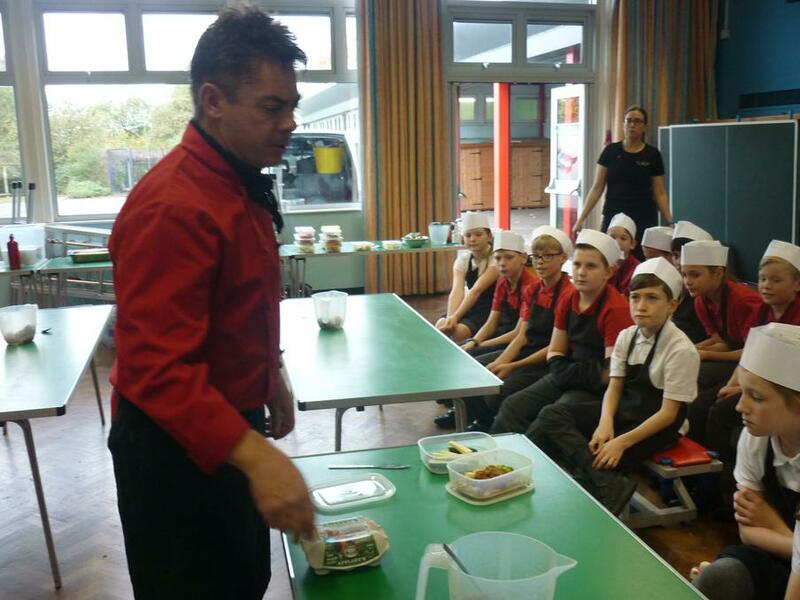 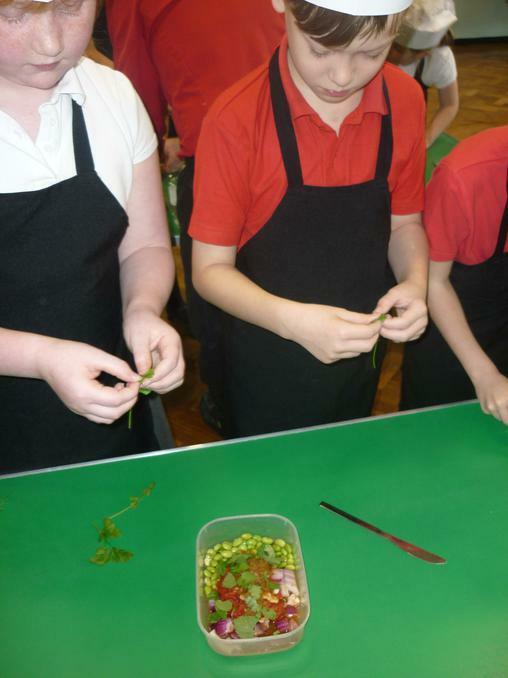 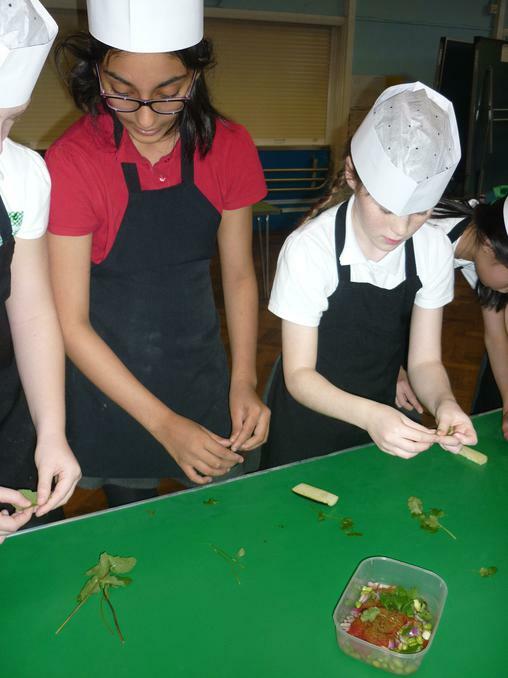 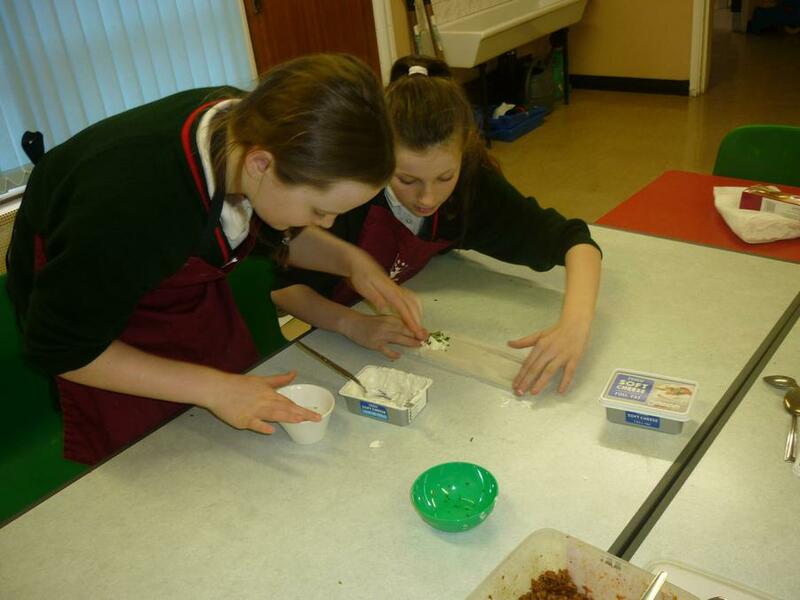 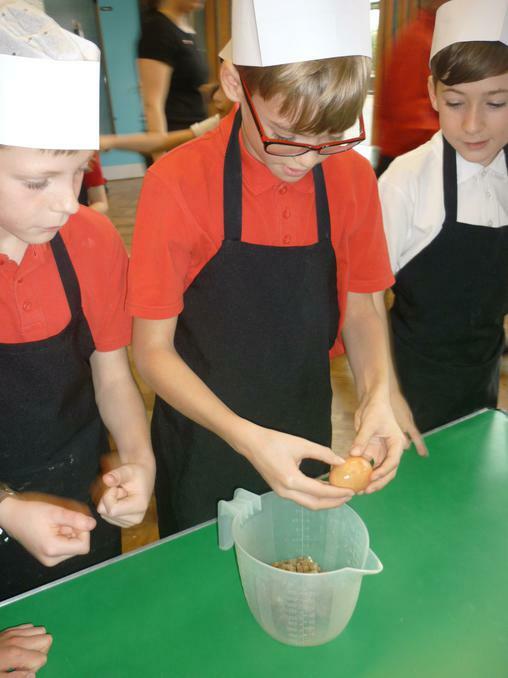 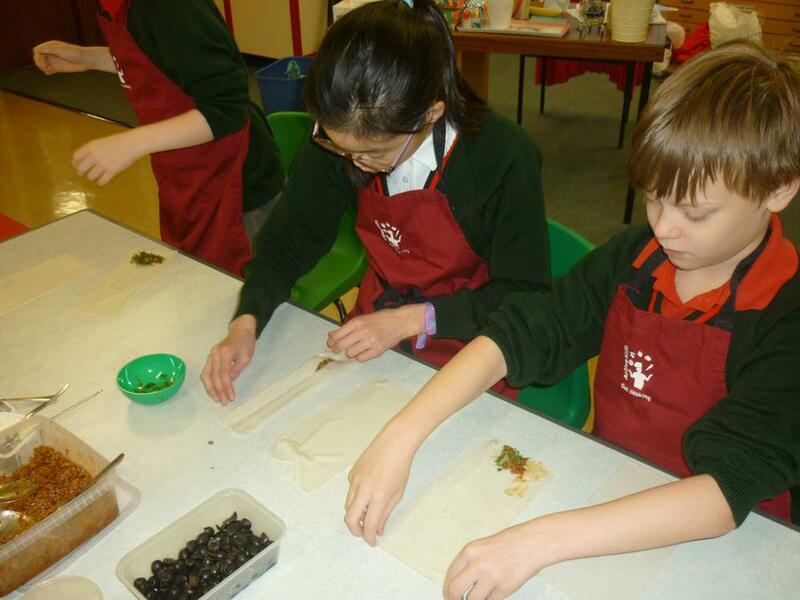 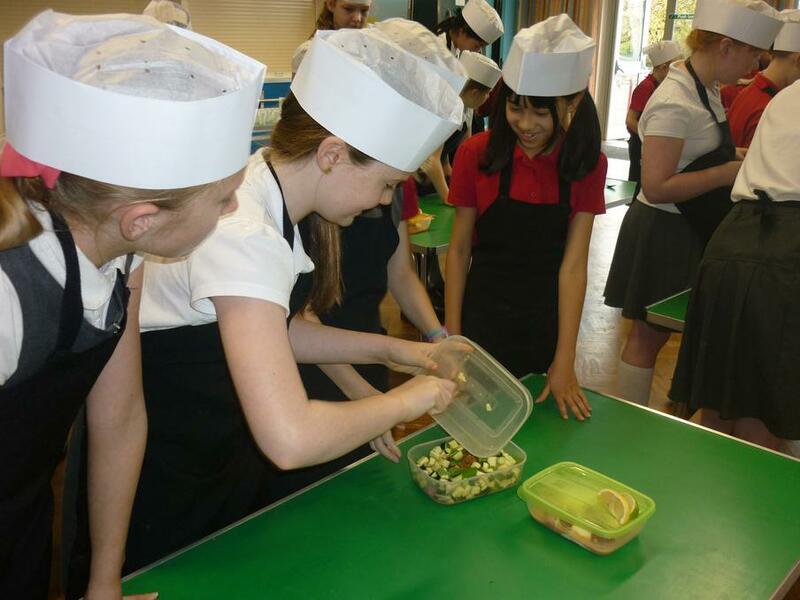 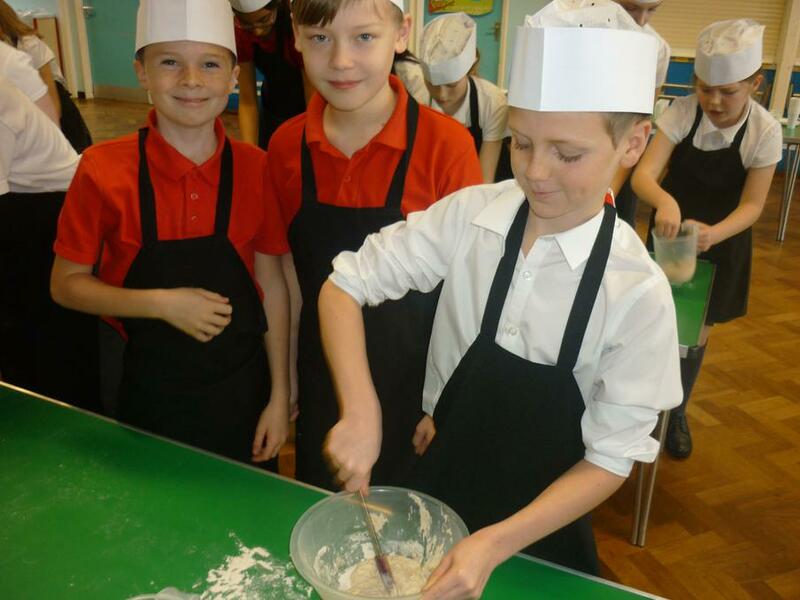 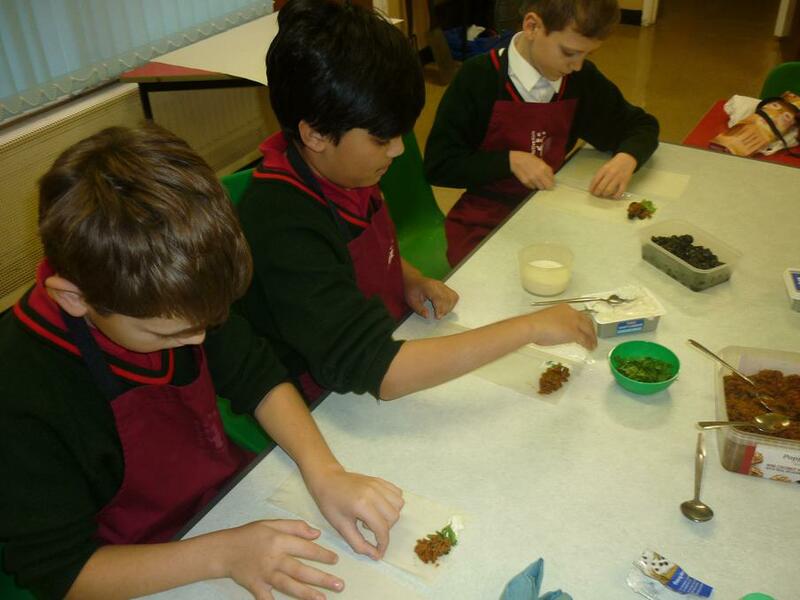 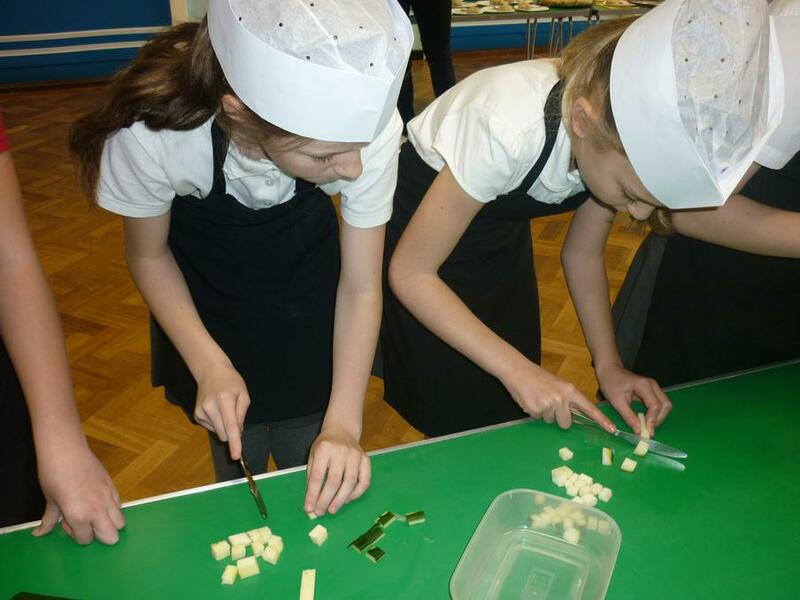 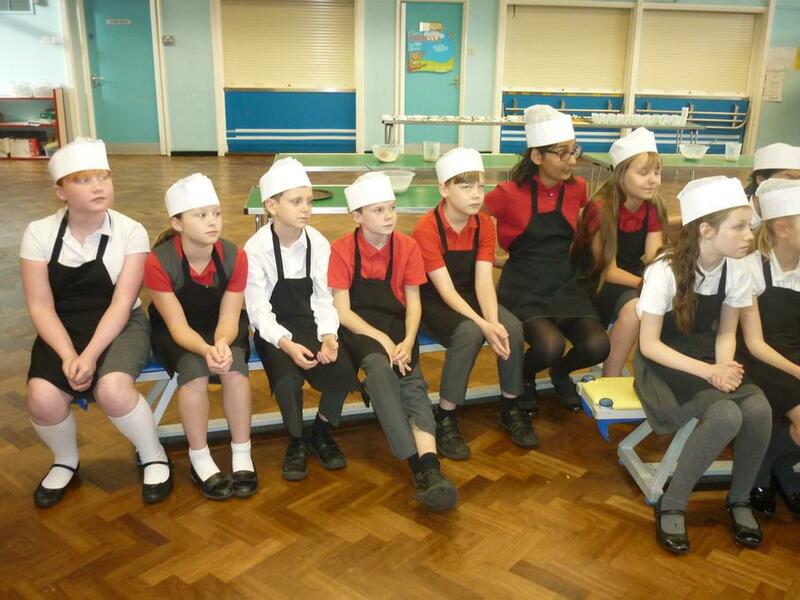 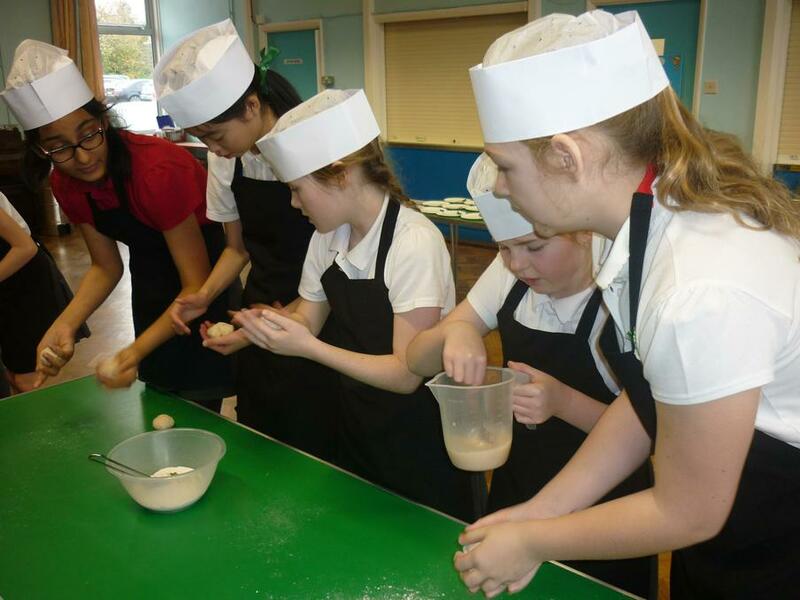 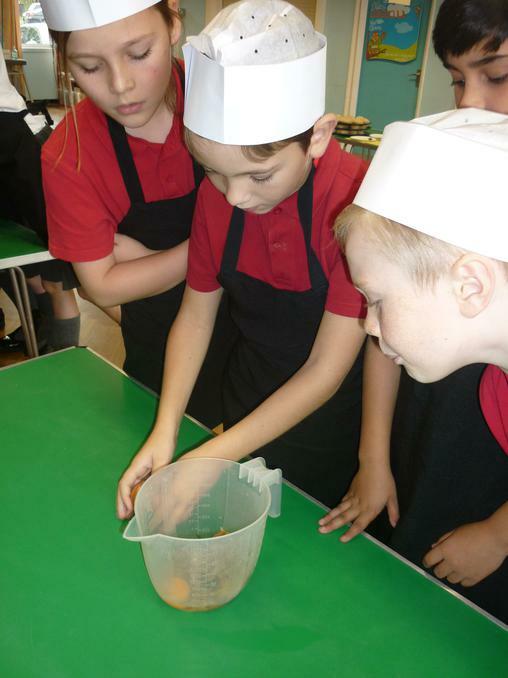 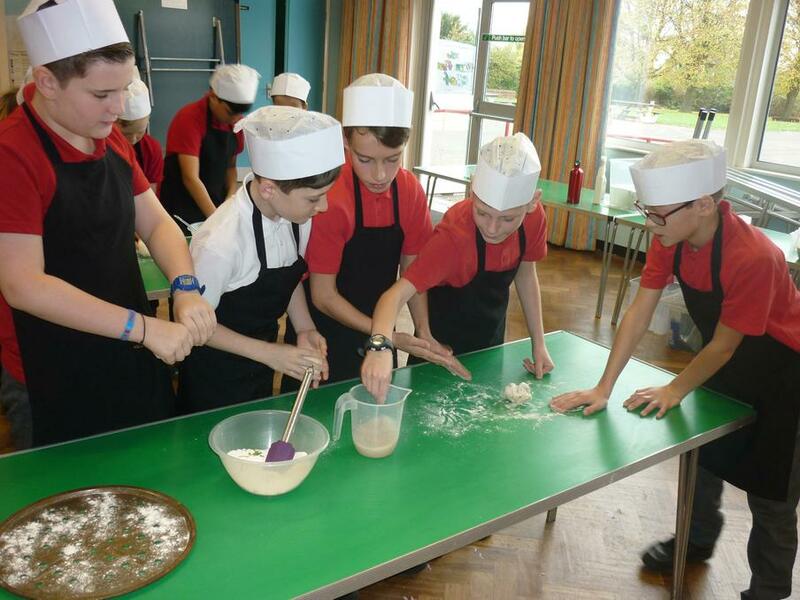 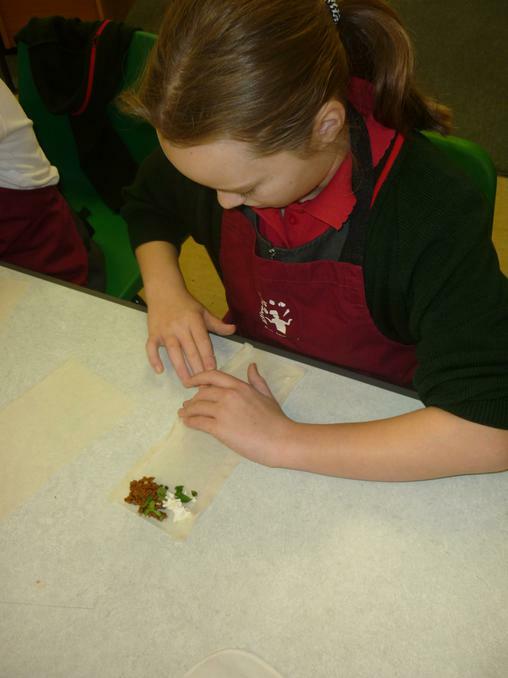 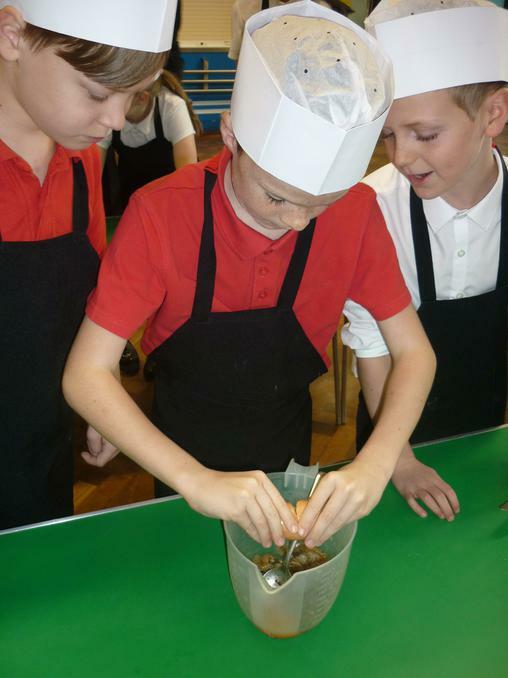 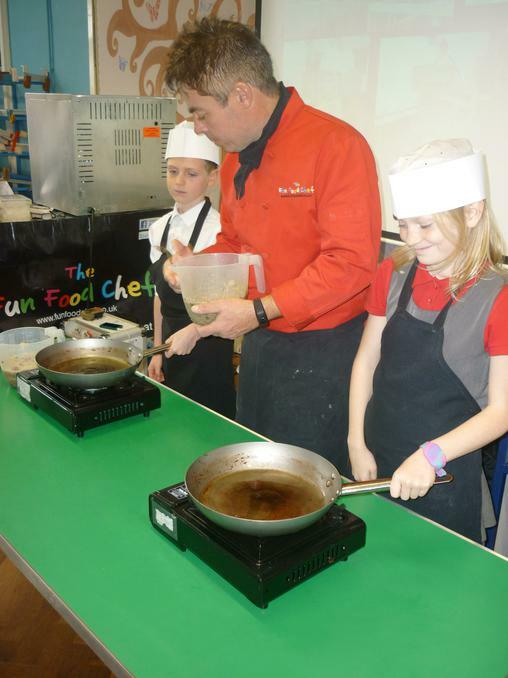 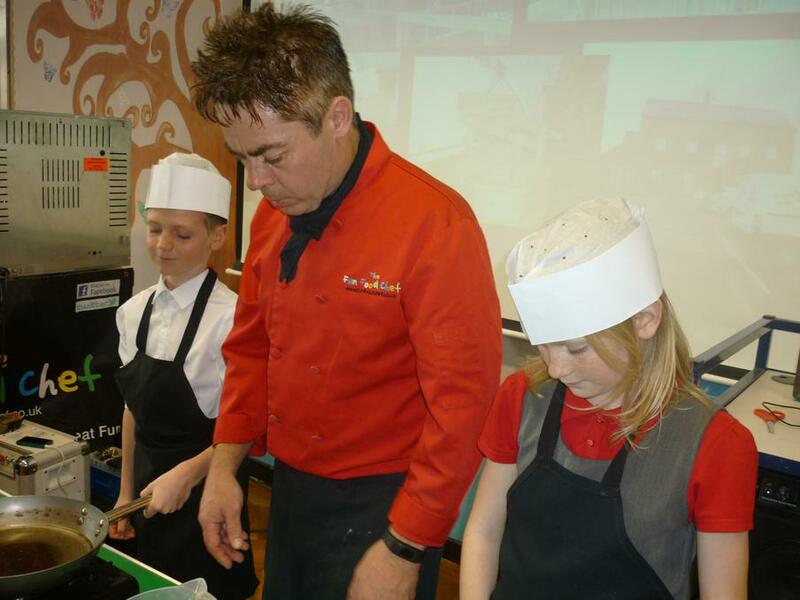 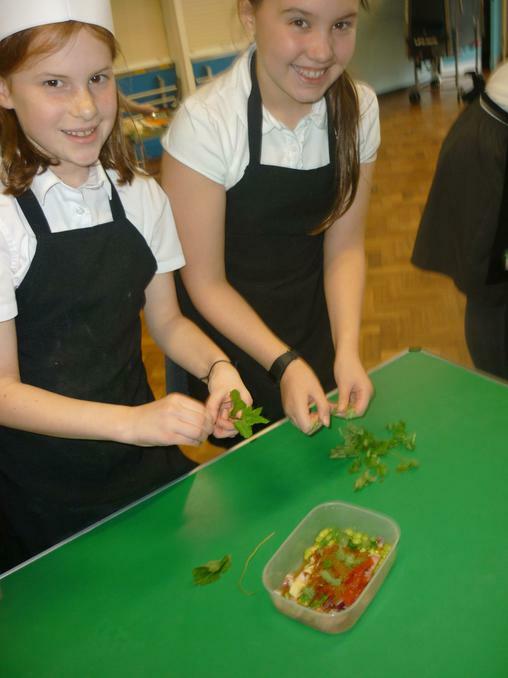 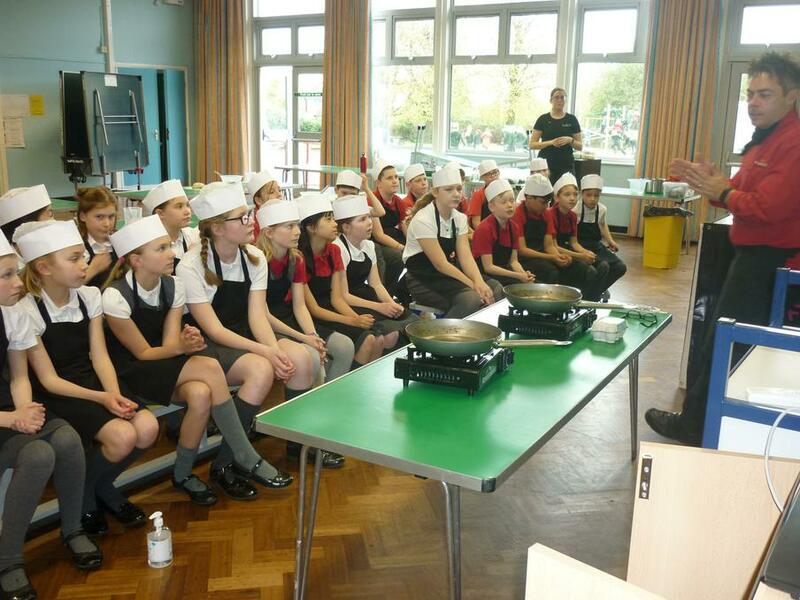 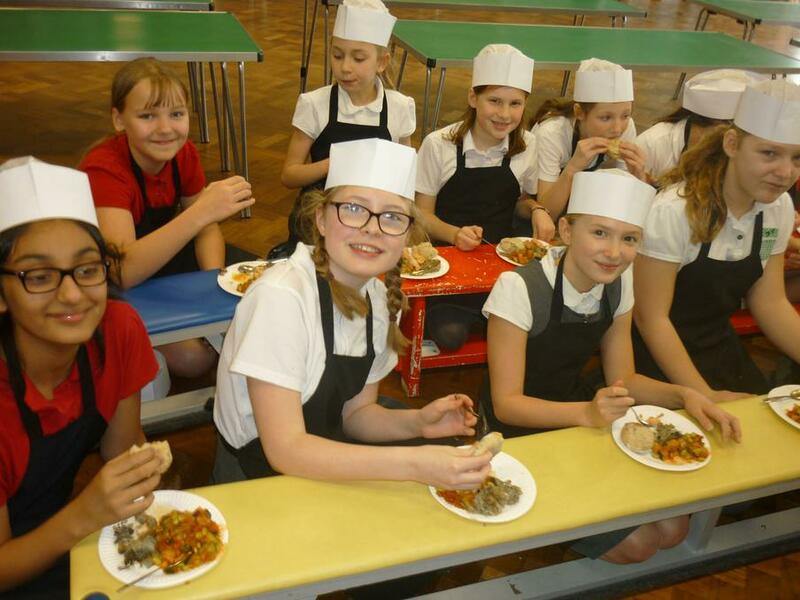 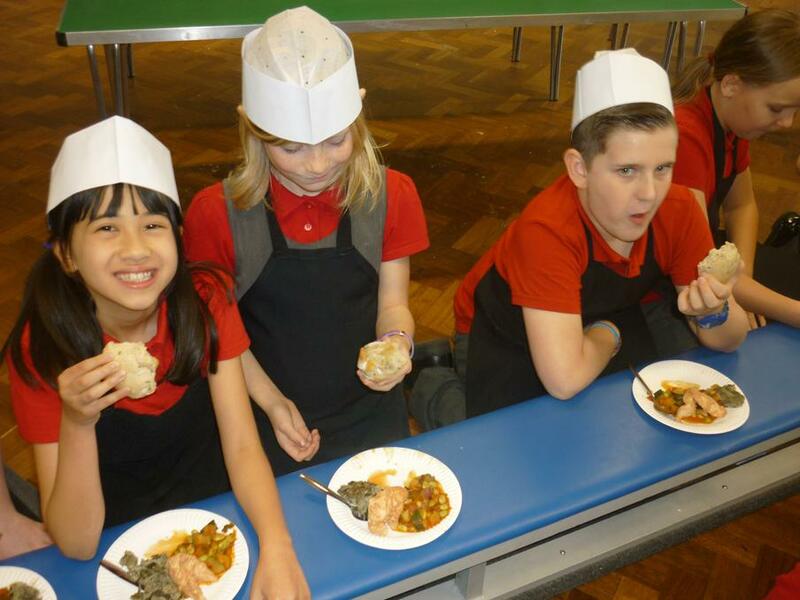 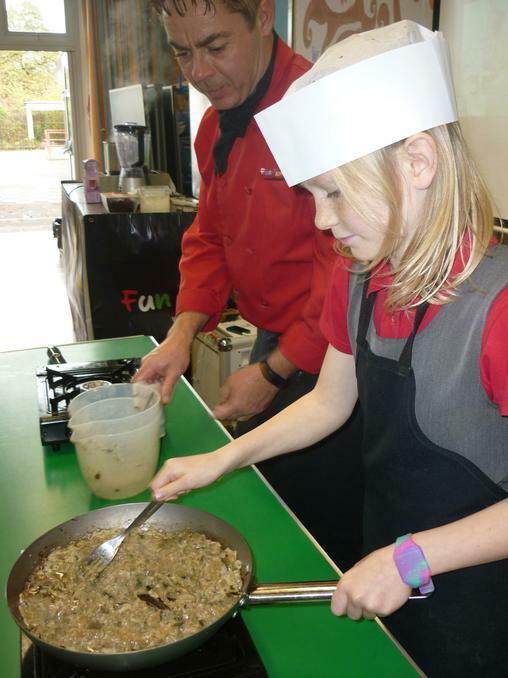 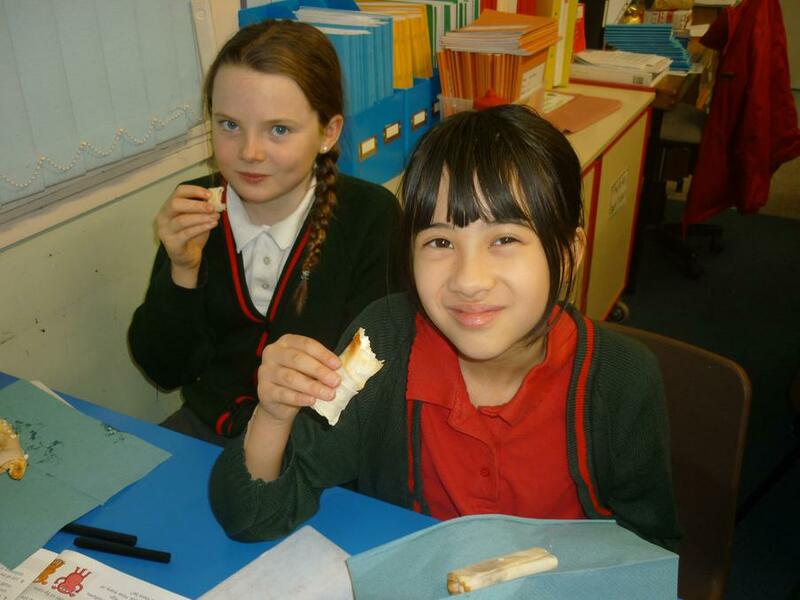 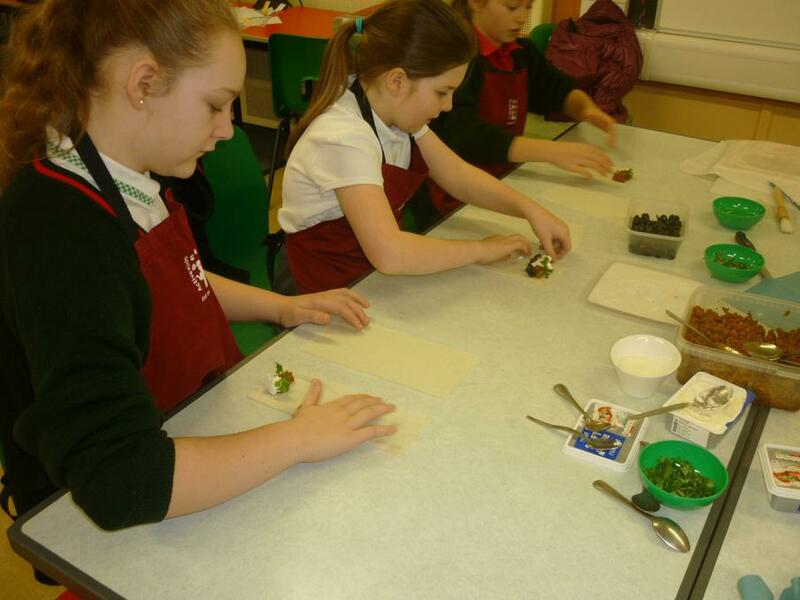 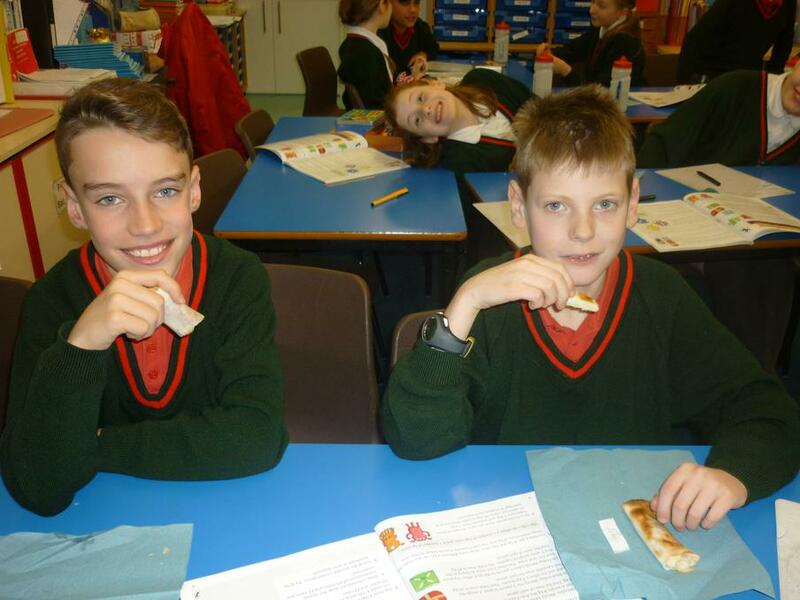 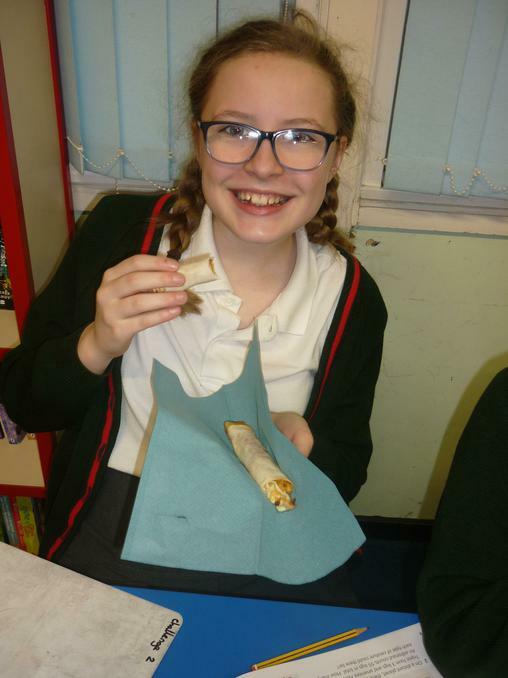 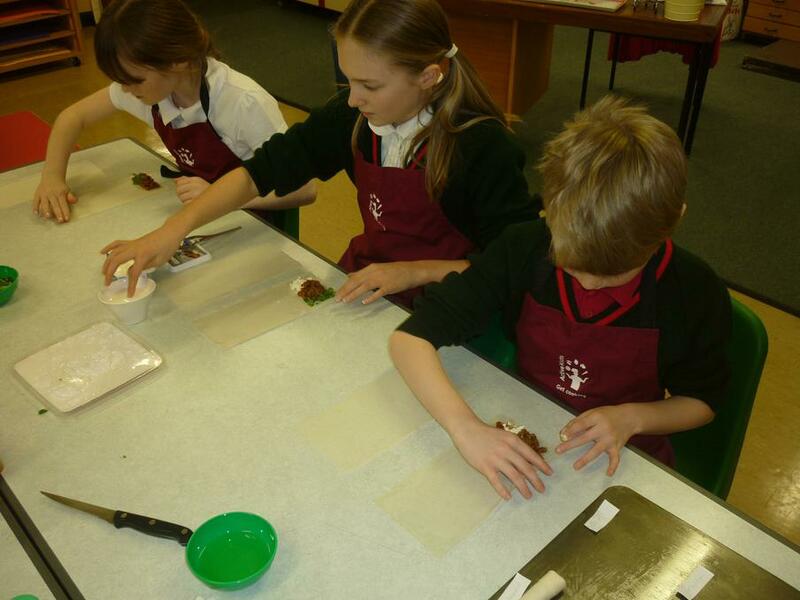 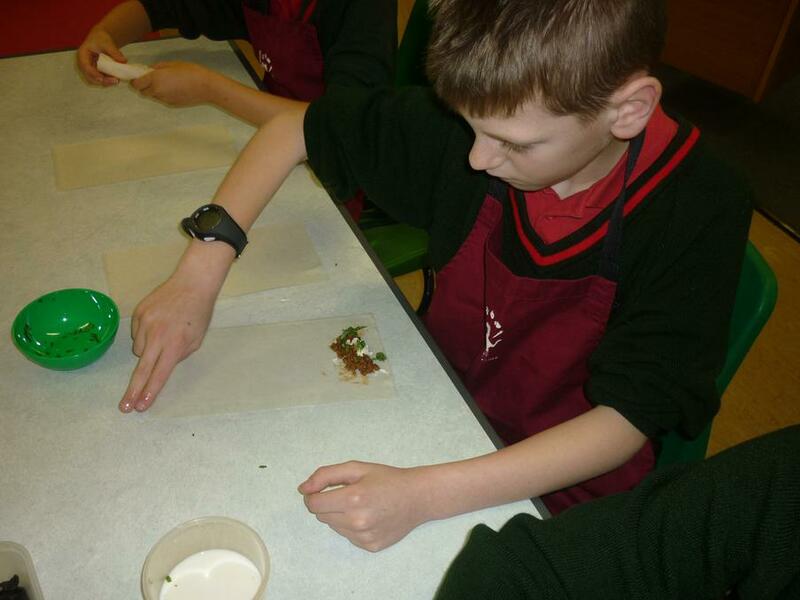 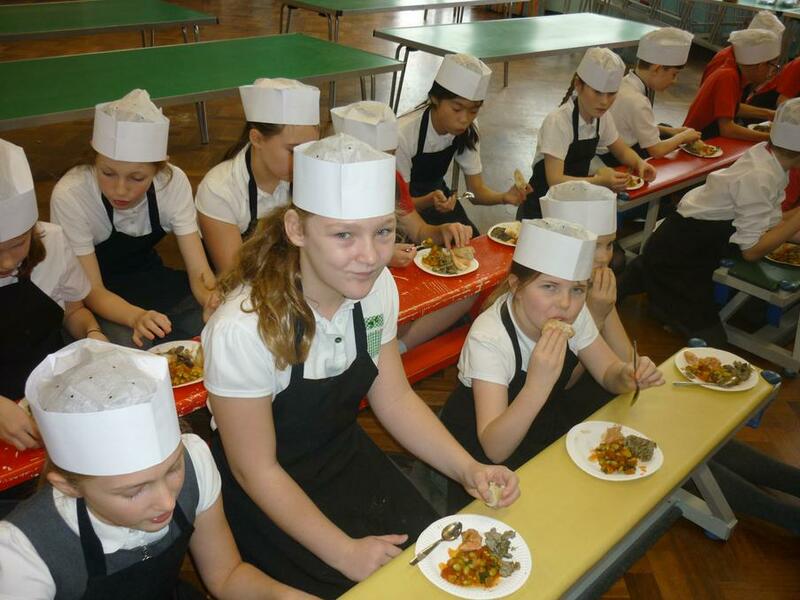 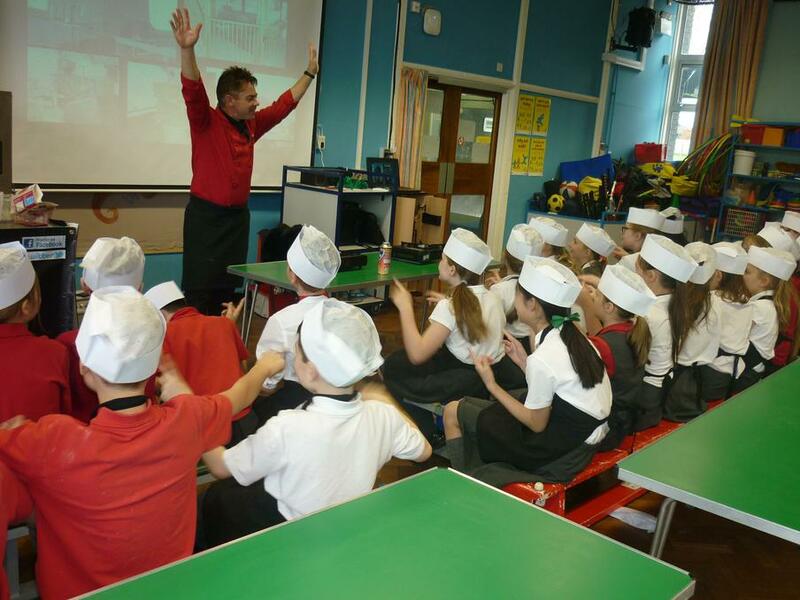 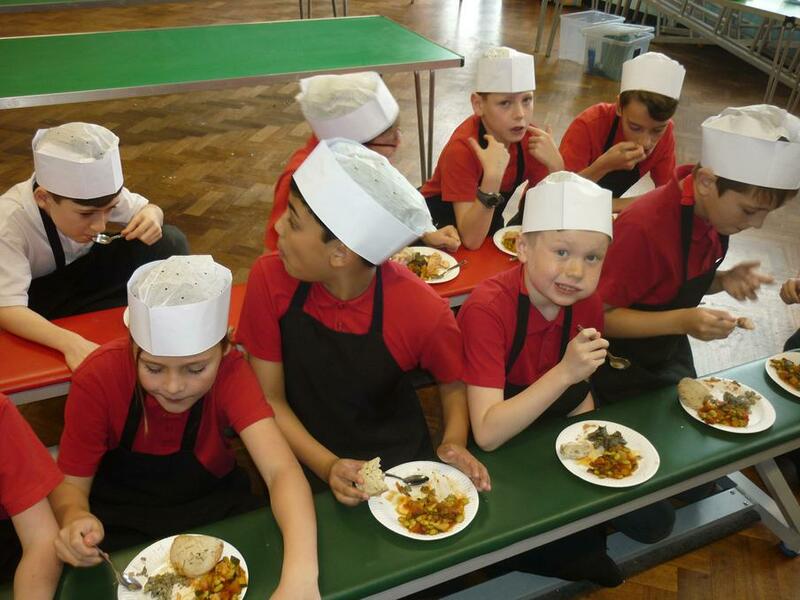 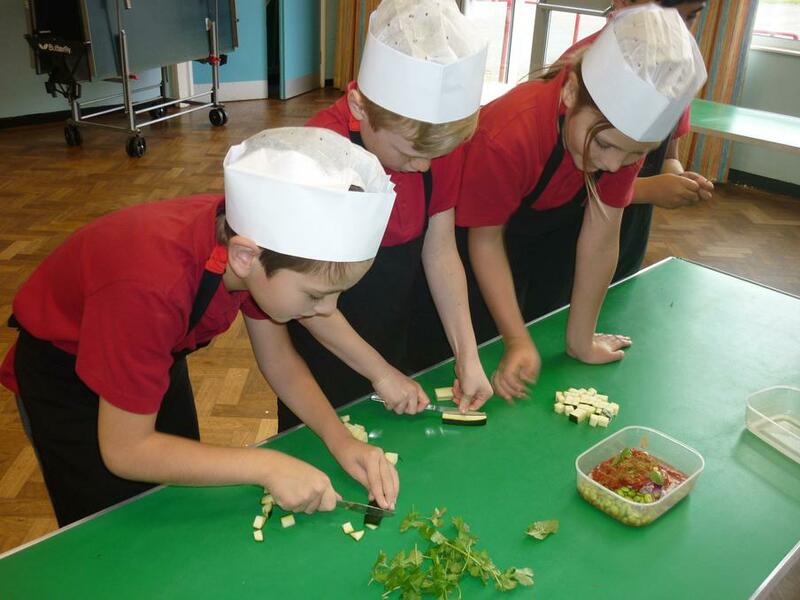 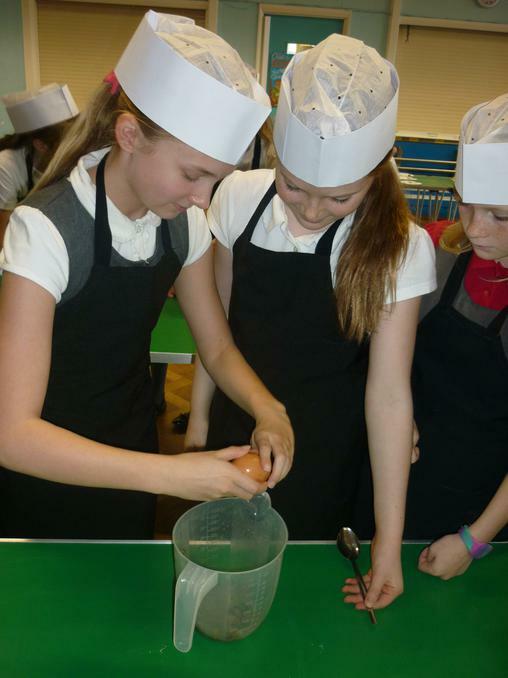 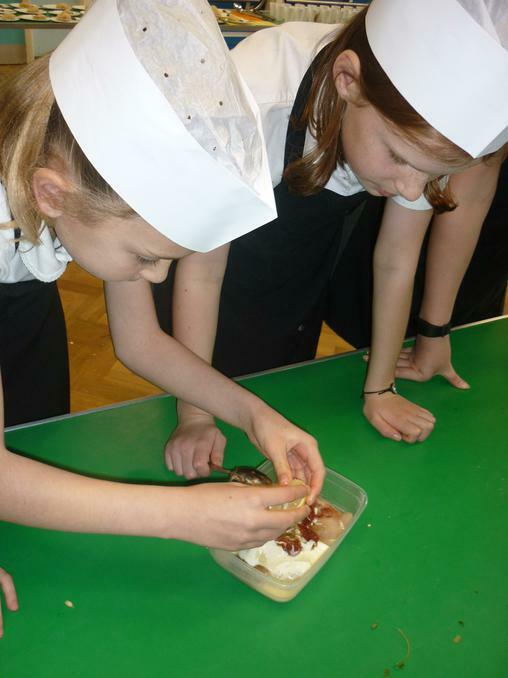 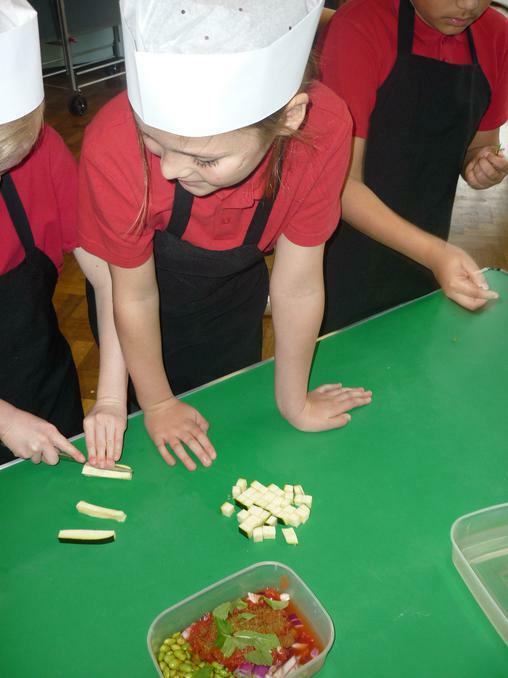 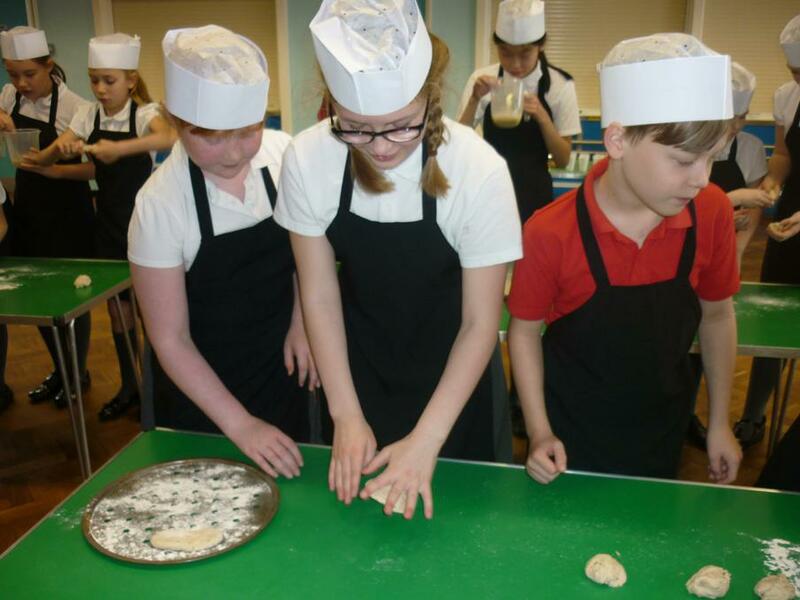 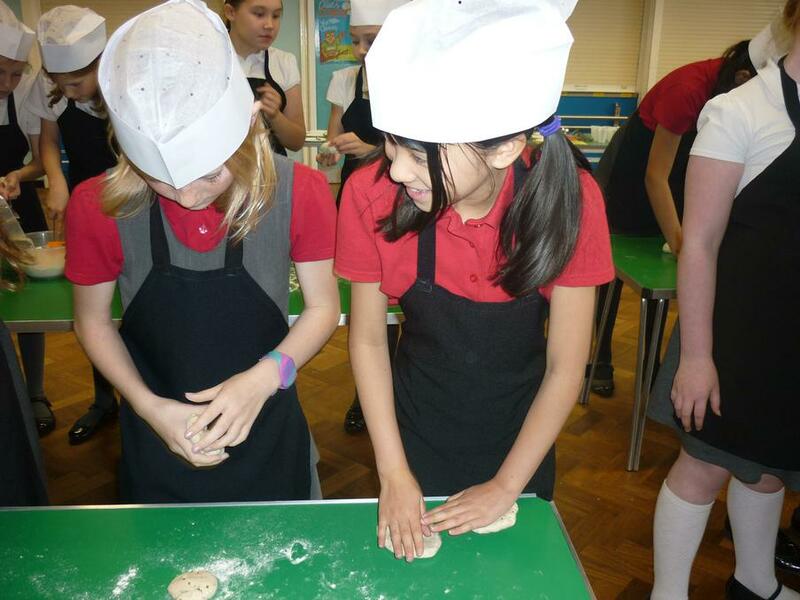 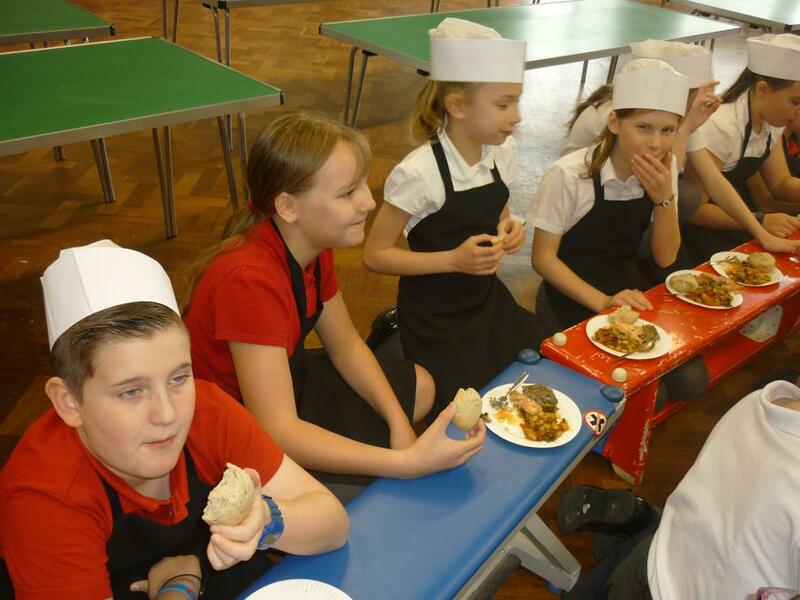 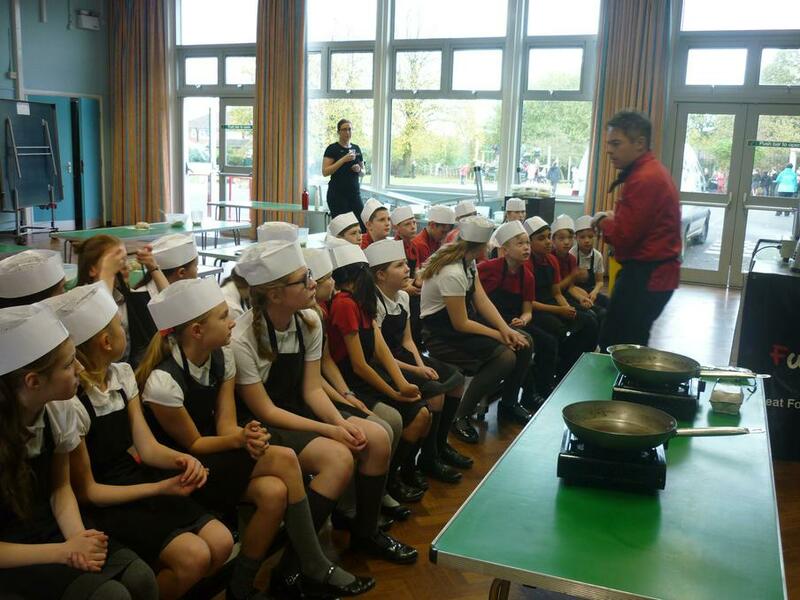 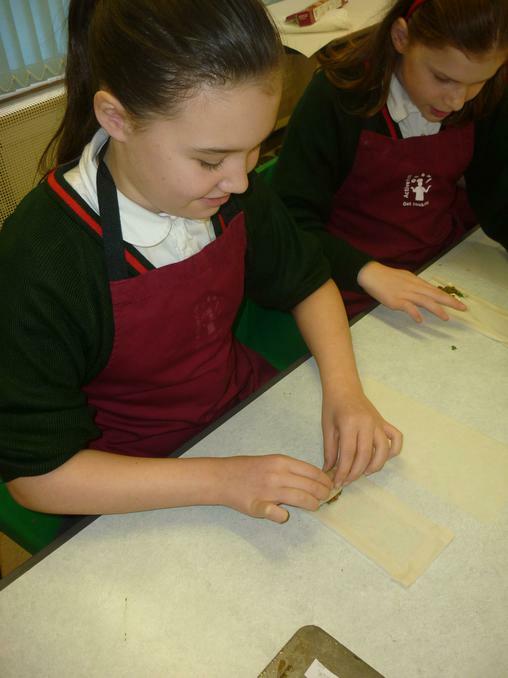 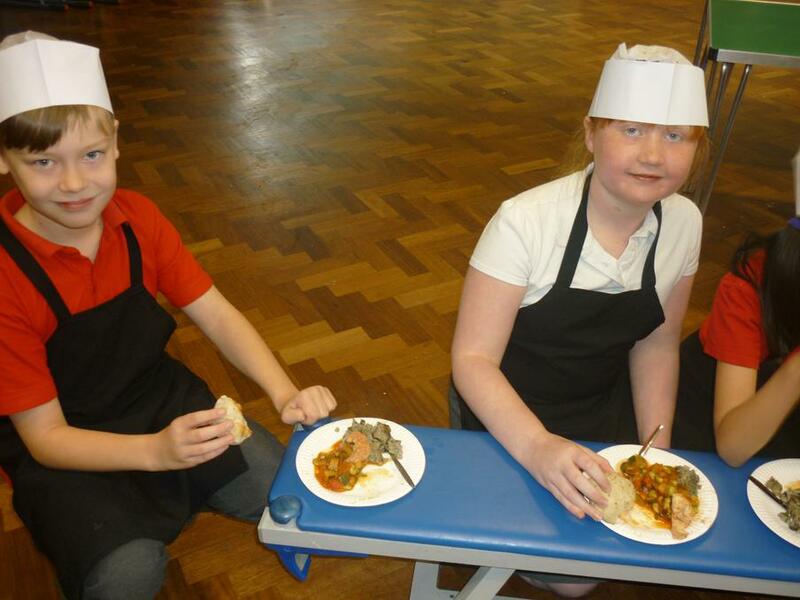 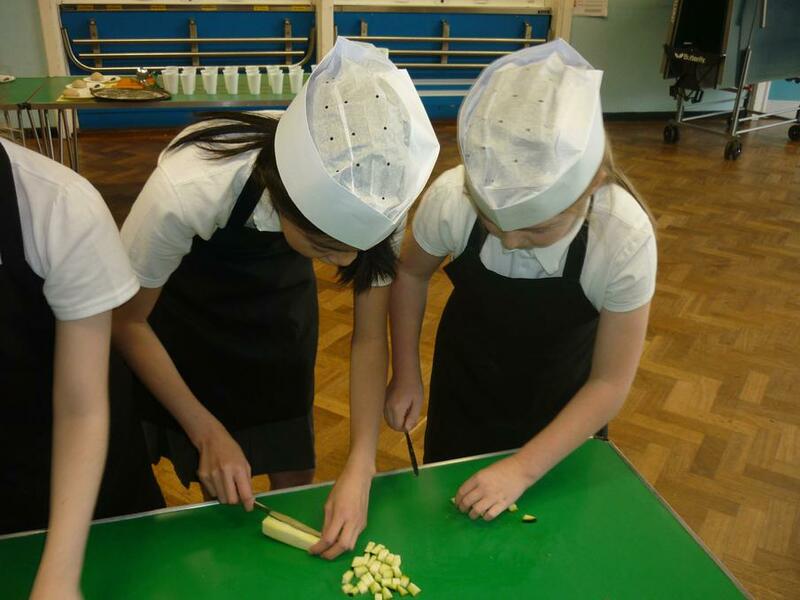 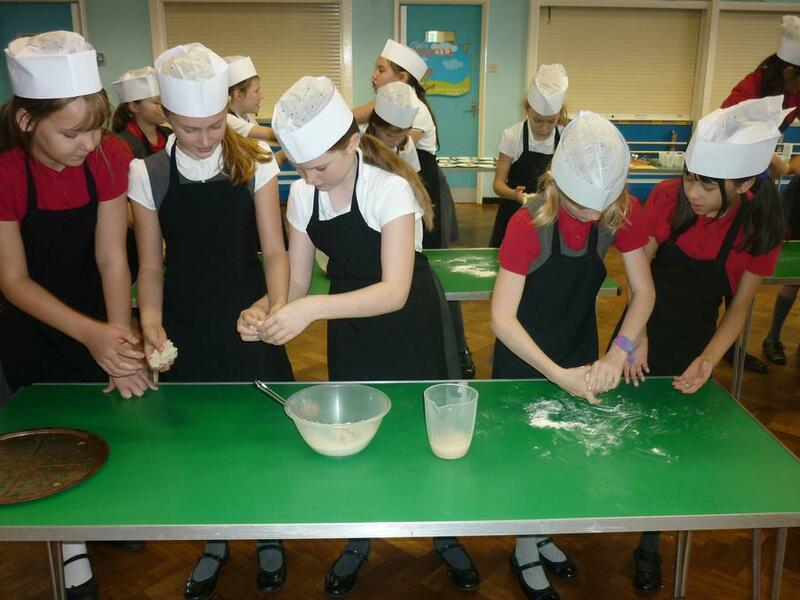 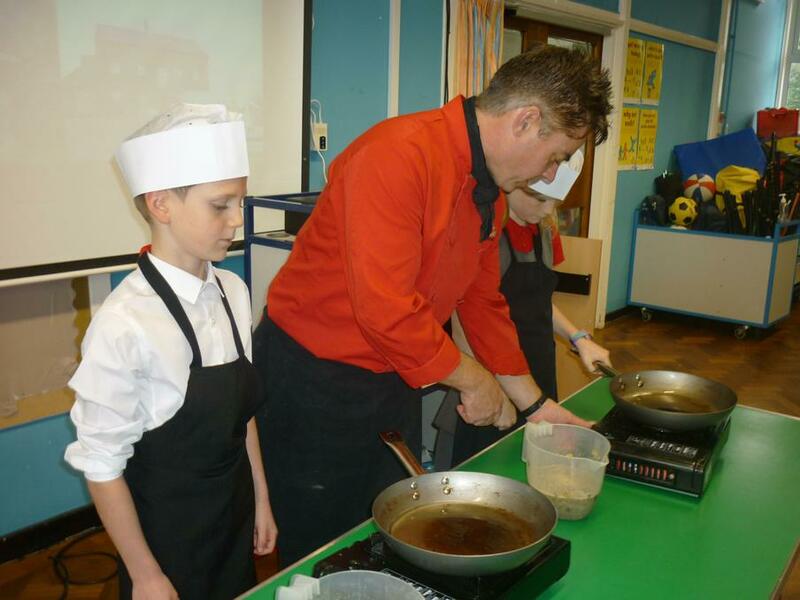 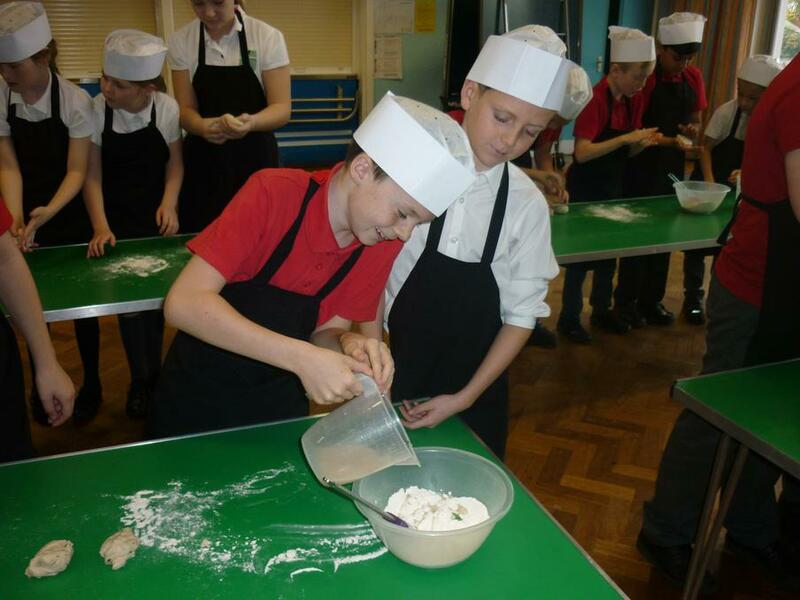 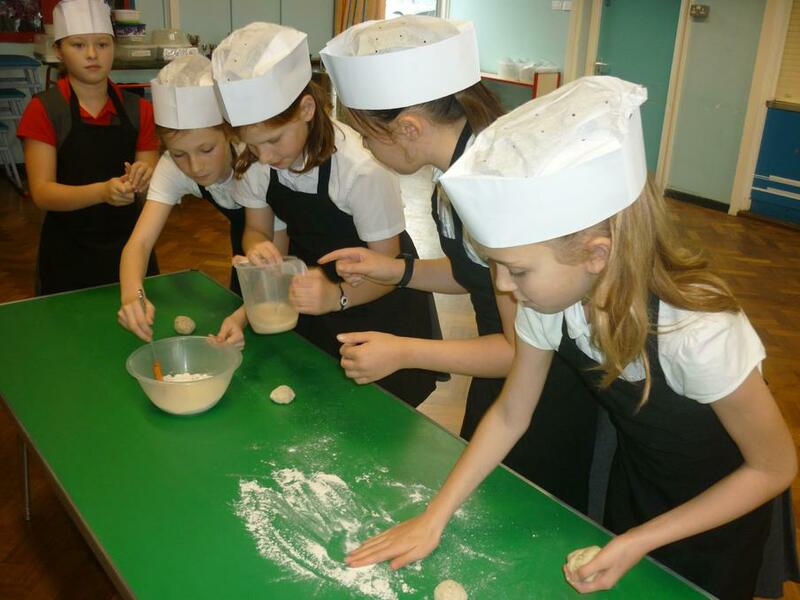 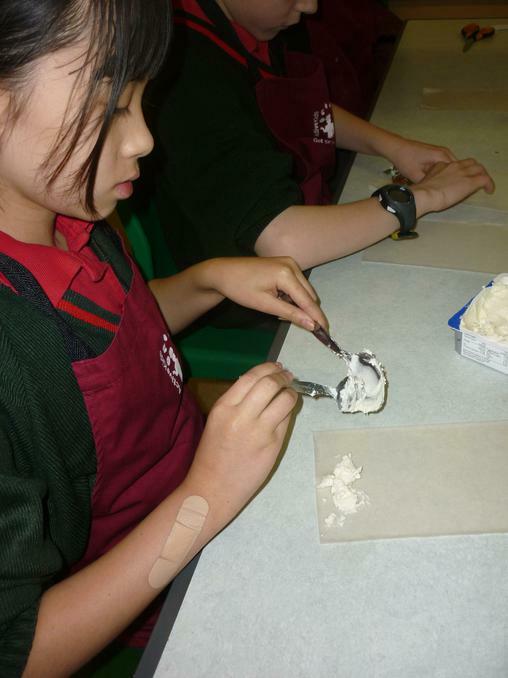 Year 6 had a fantastic time cooking and tasting middle eastern food. 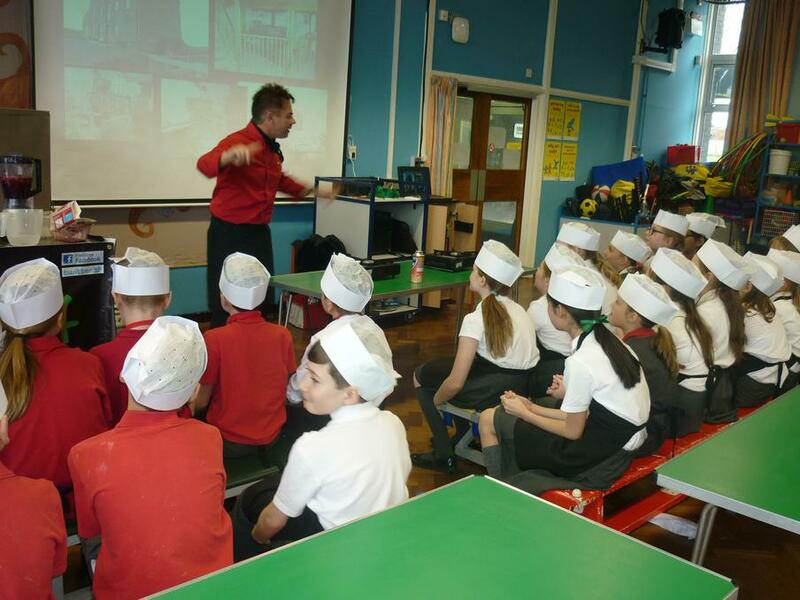 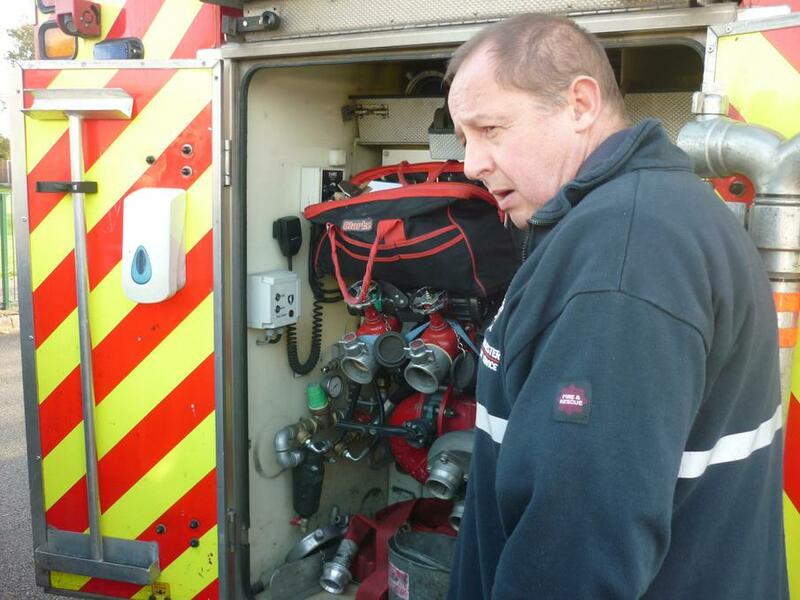 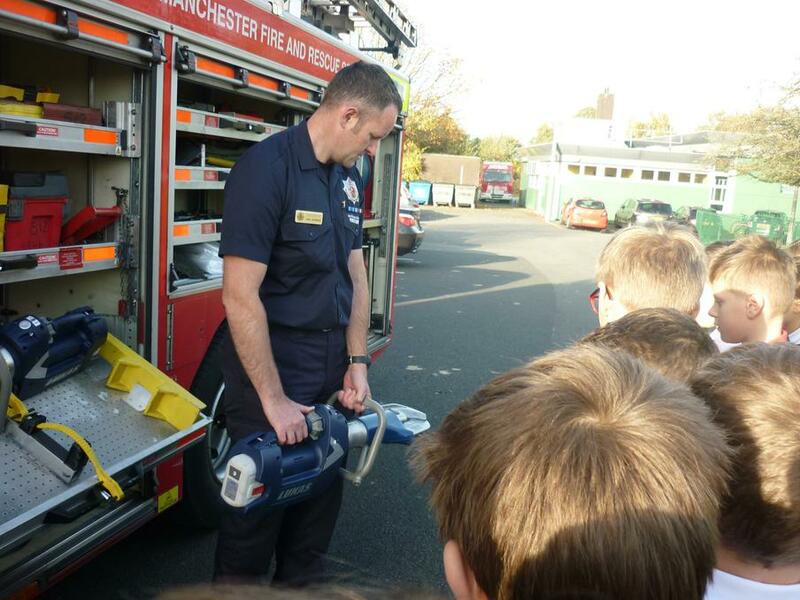 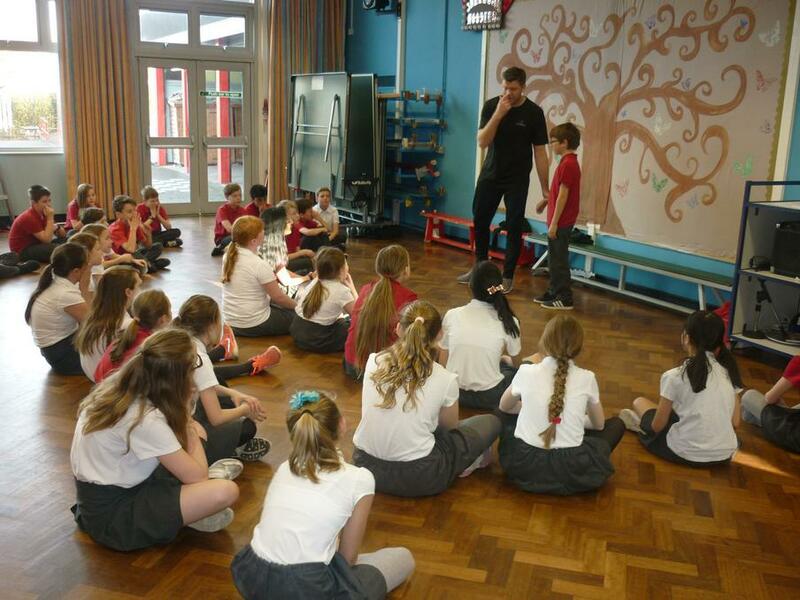 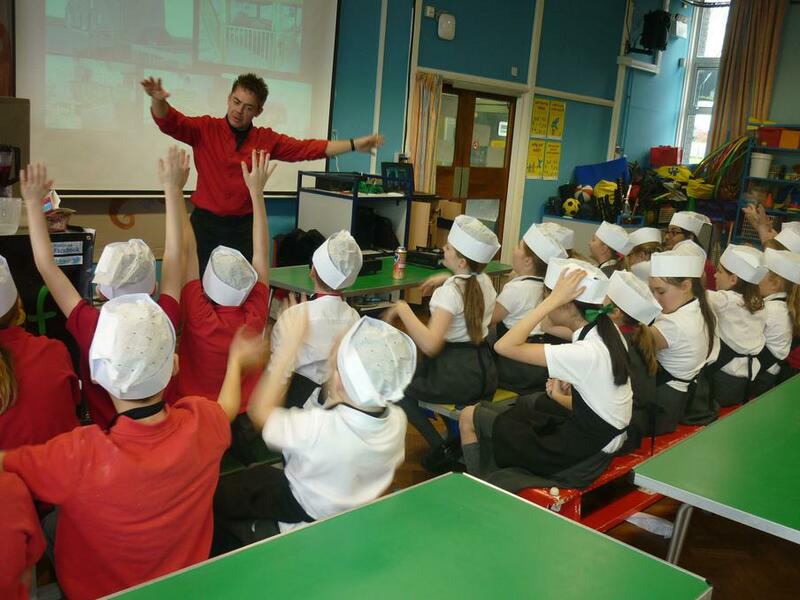 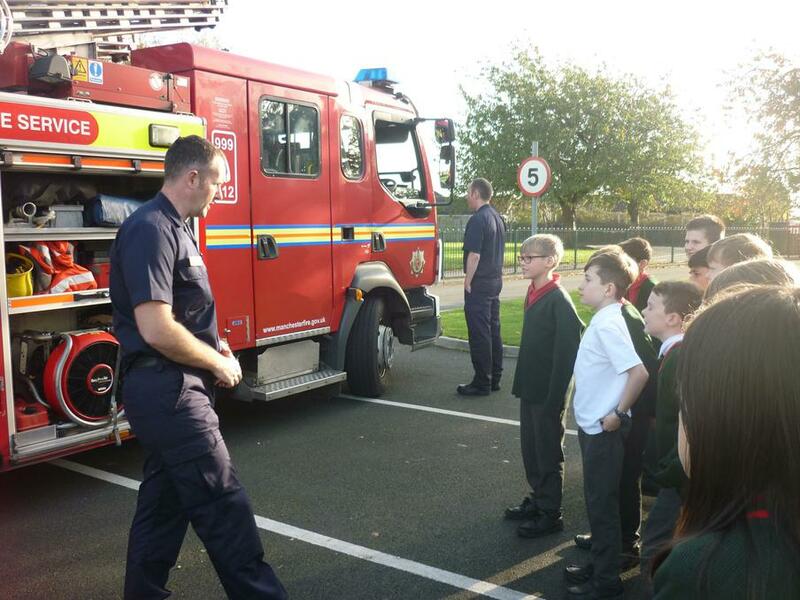 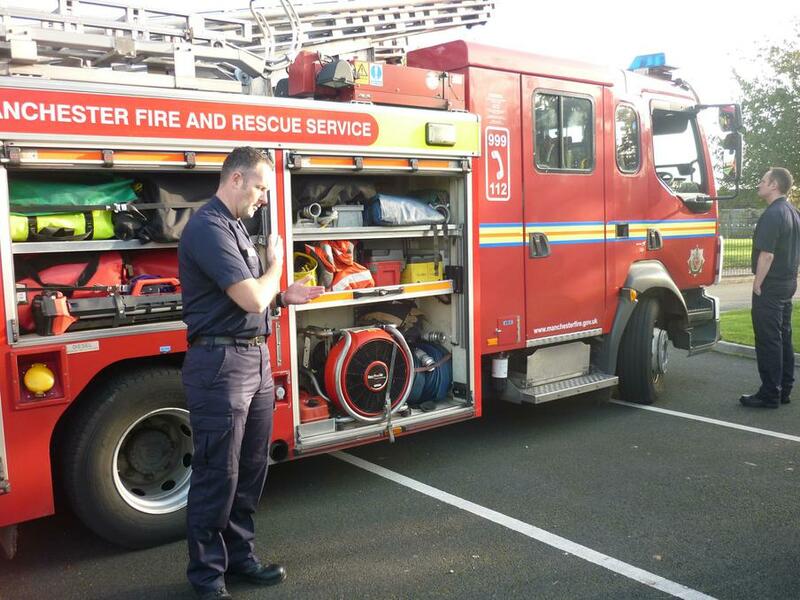 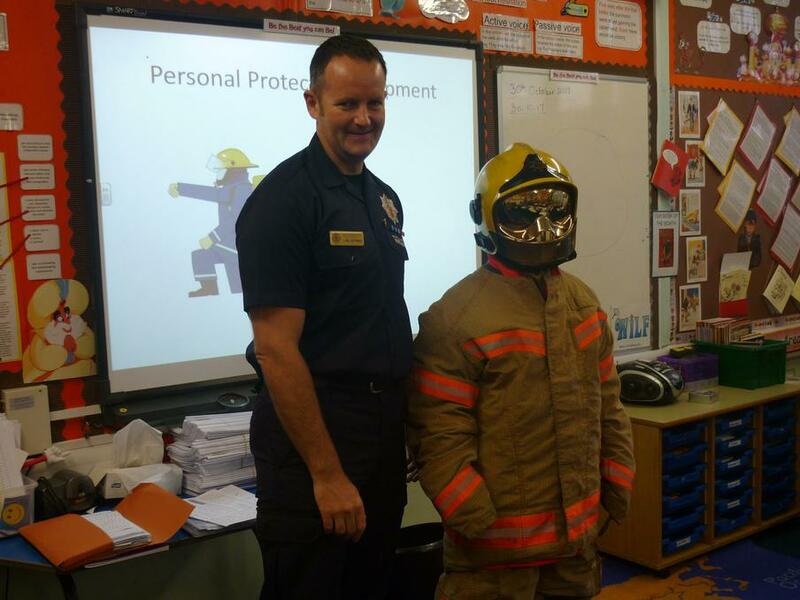 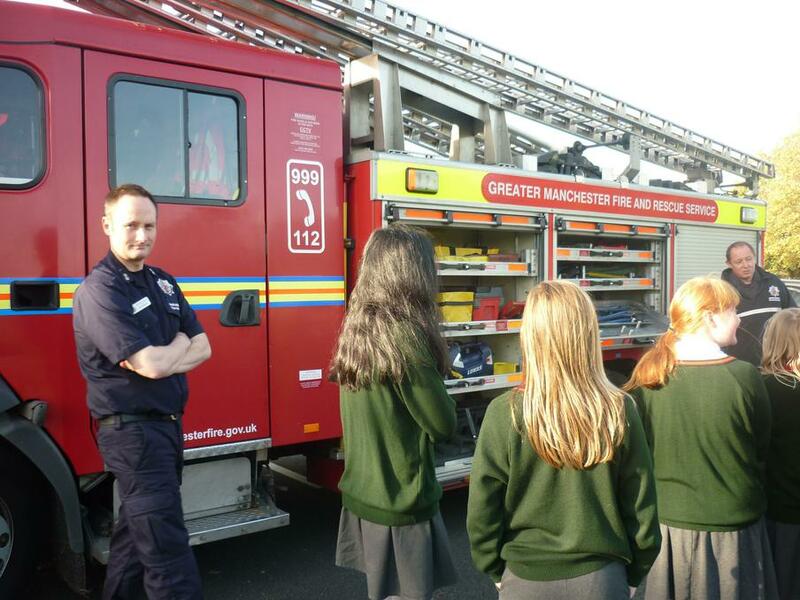 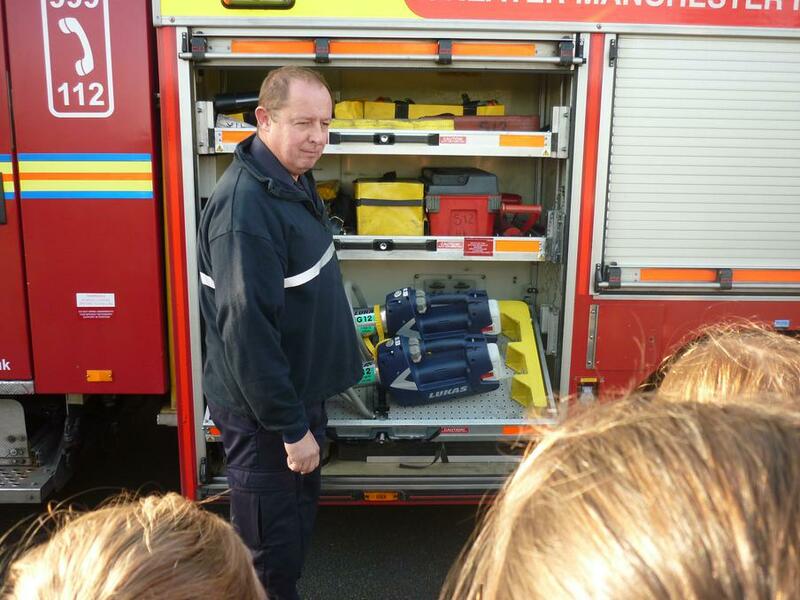 White Watch fire service crew visited Year 6 to talk to the children about fire safety. 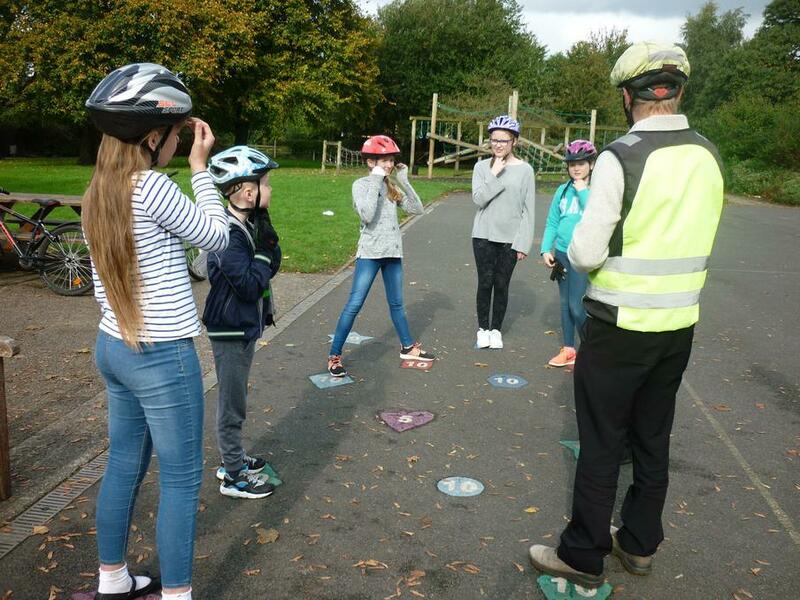 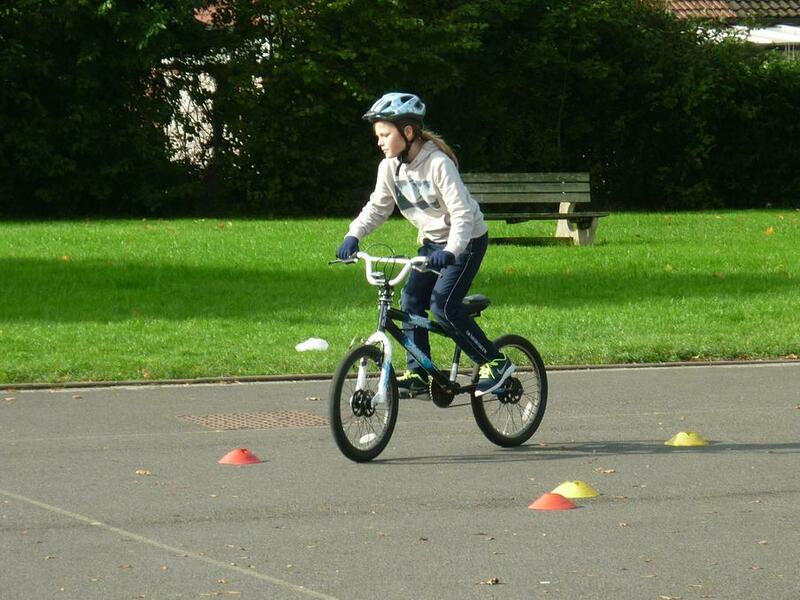 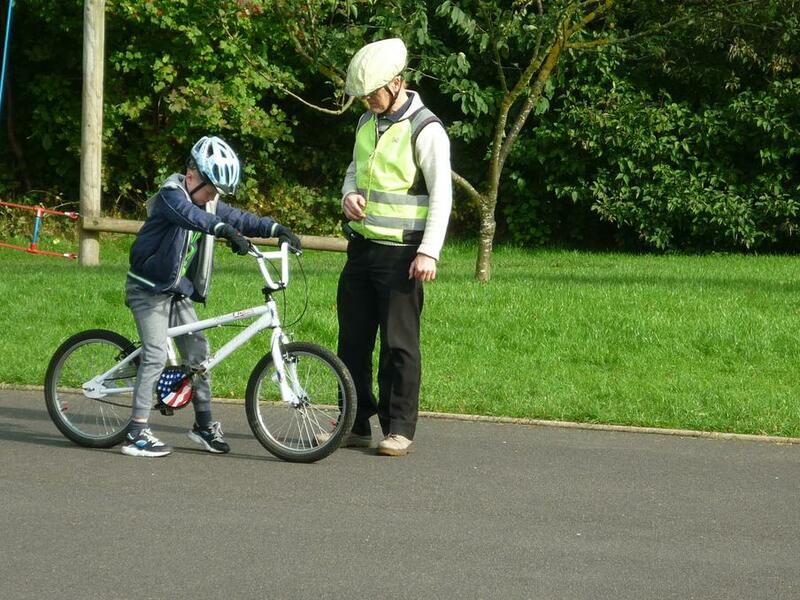 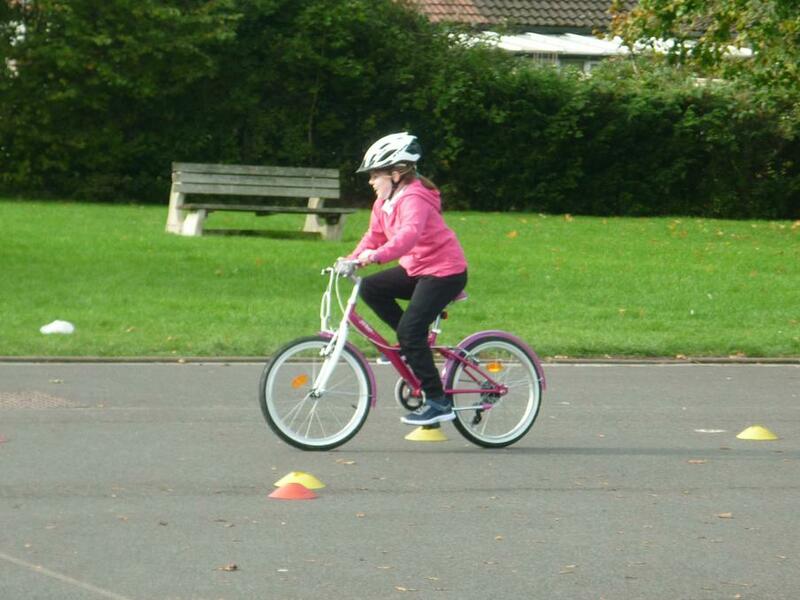 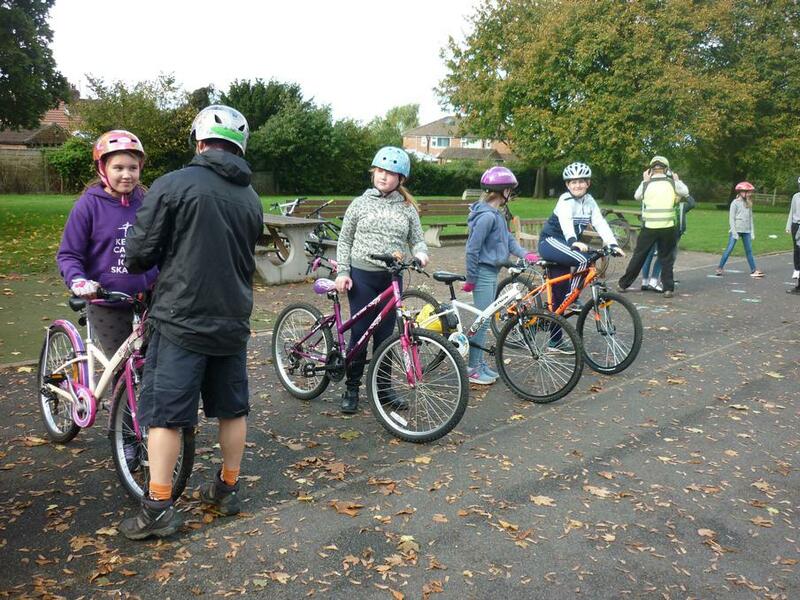 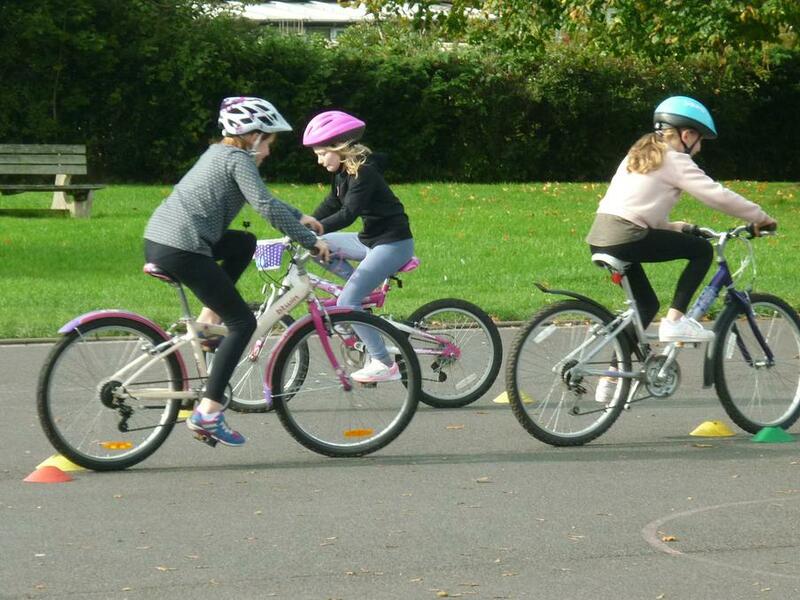 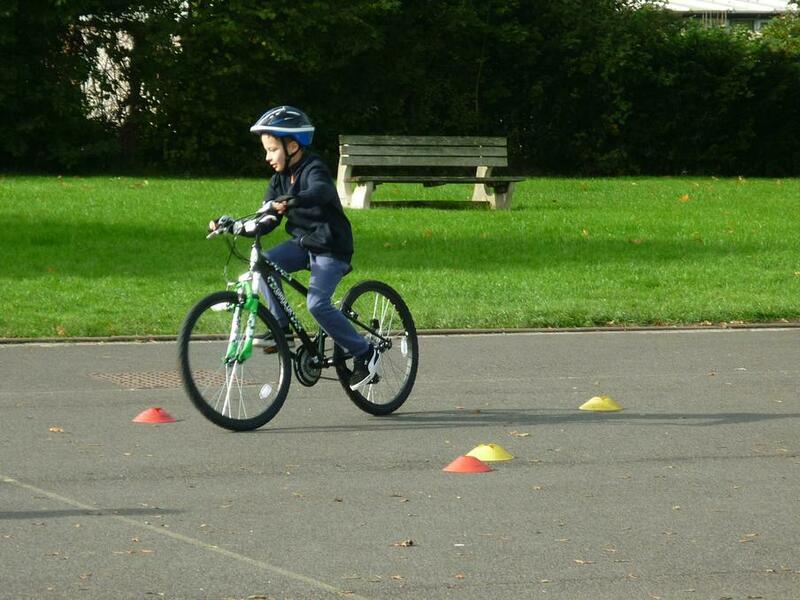 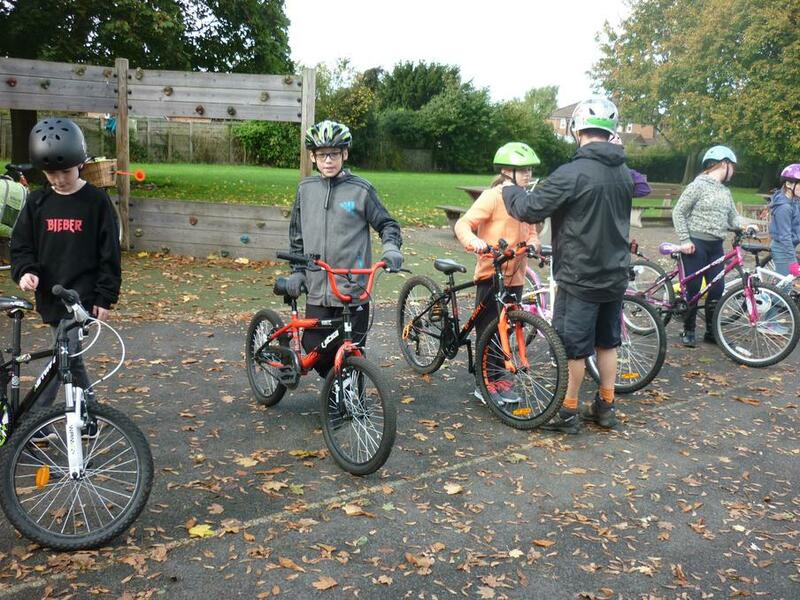 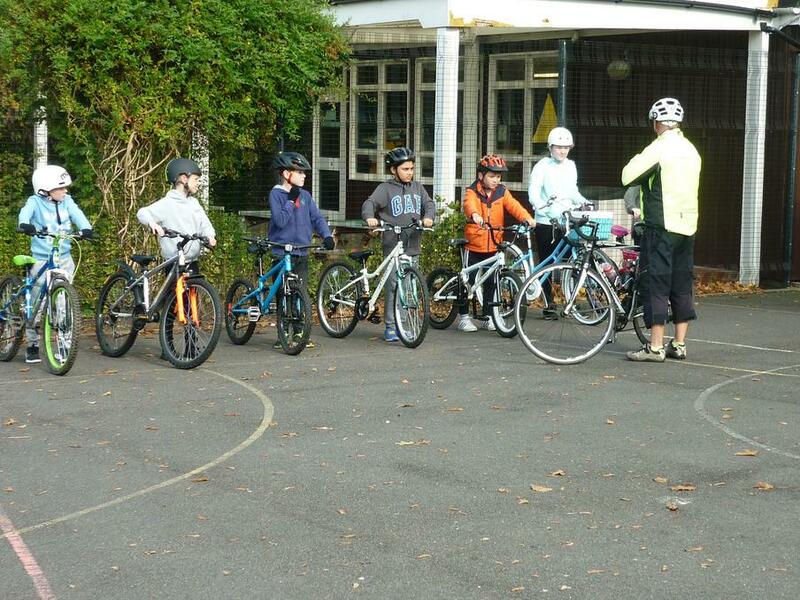 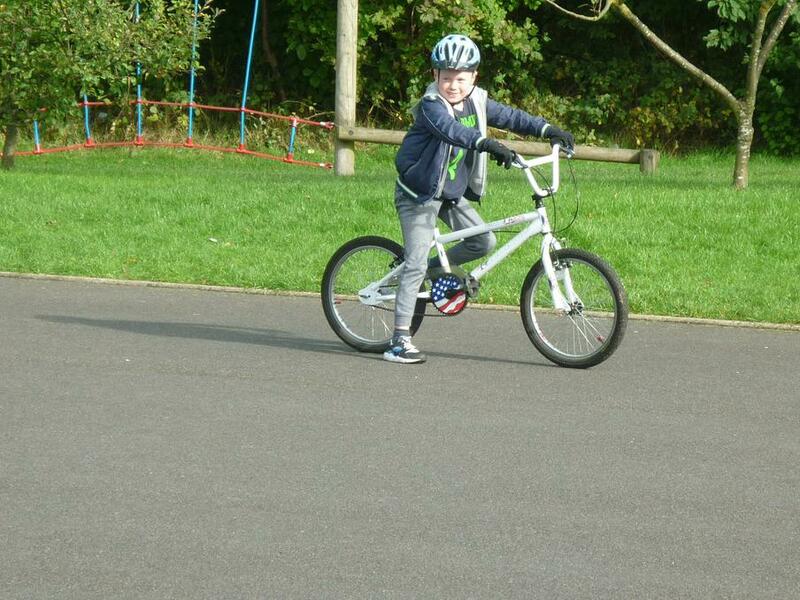 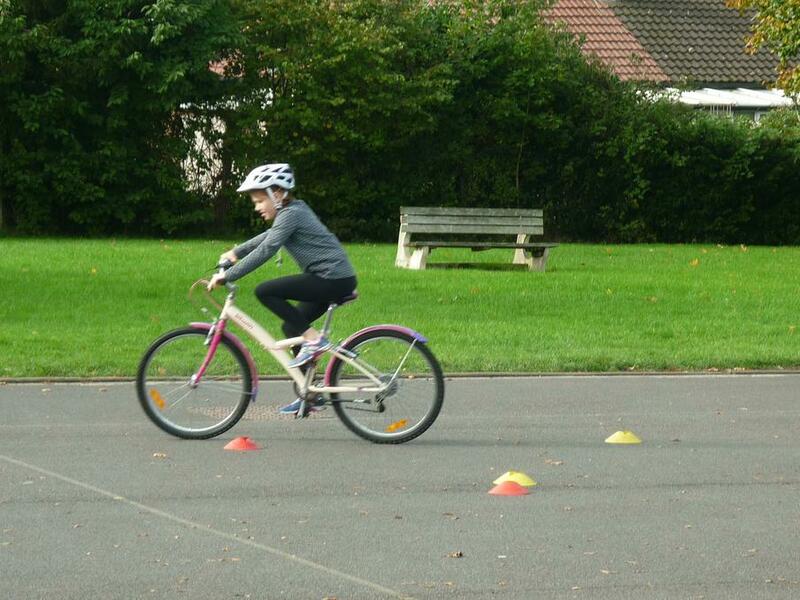 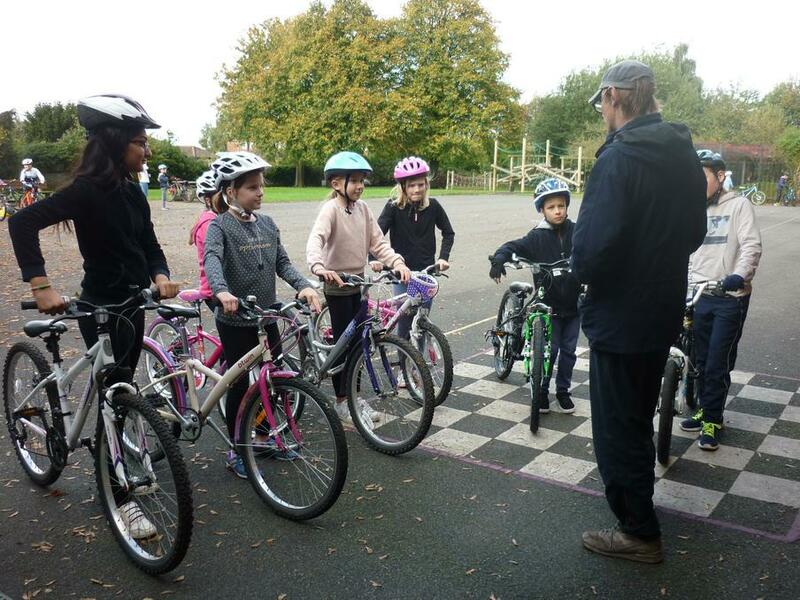 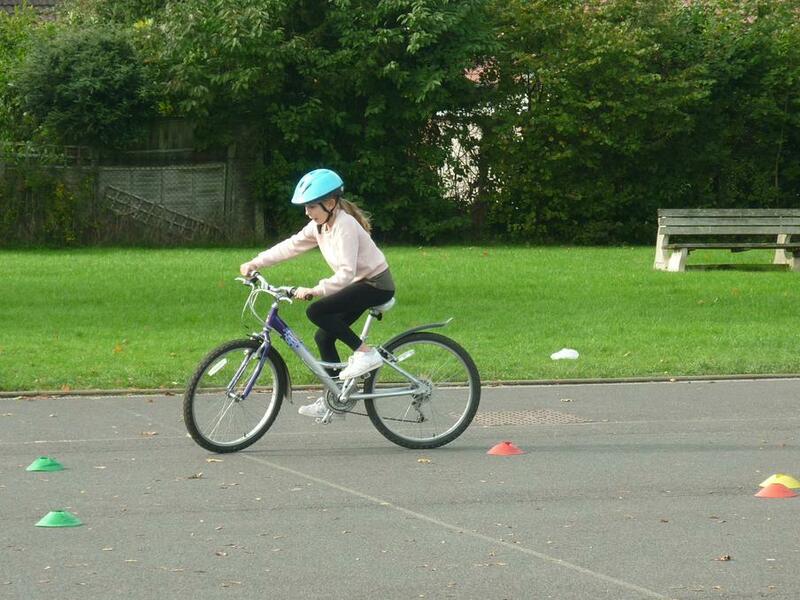 Bikeability starts today (9th October) with Level 1 on the playground. 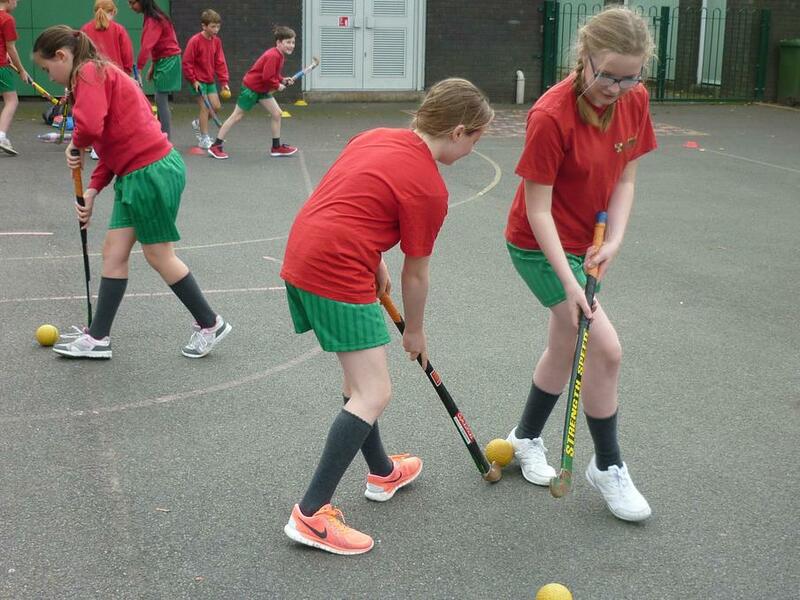 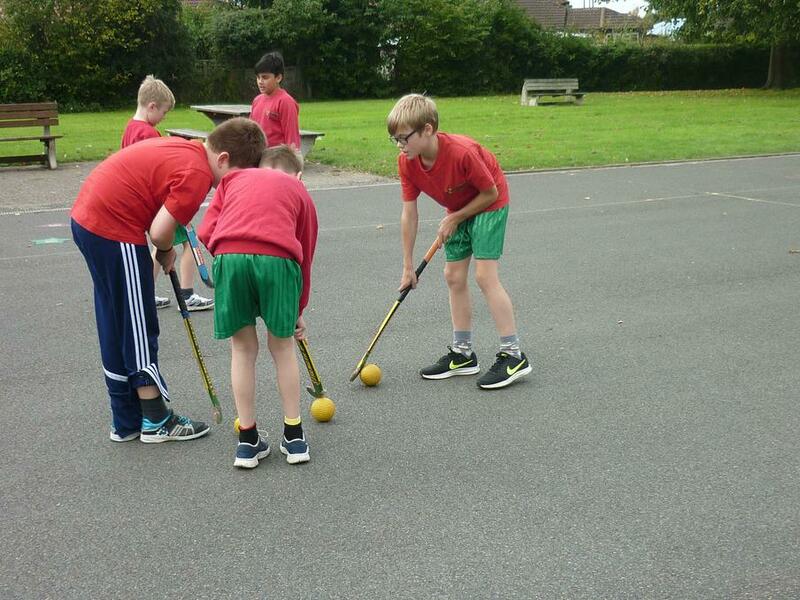 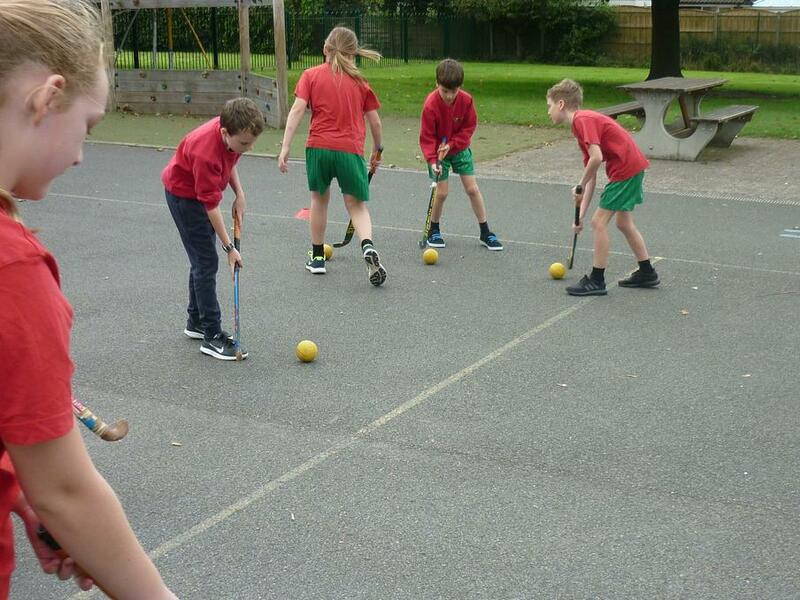 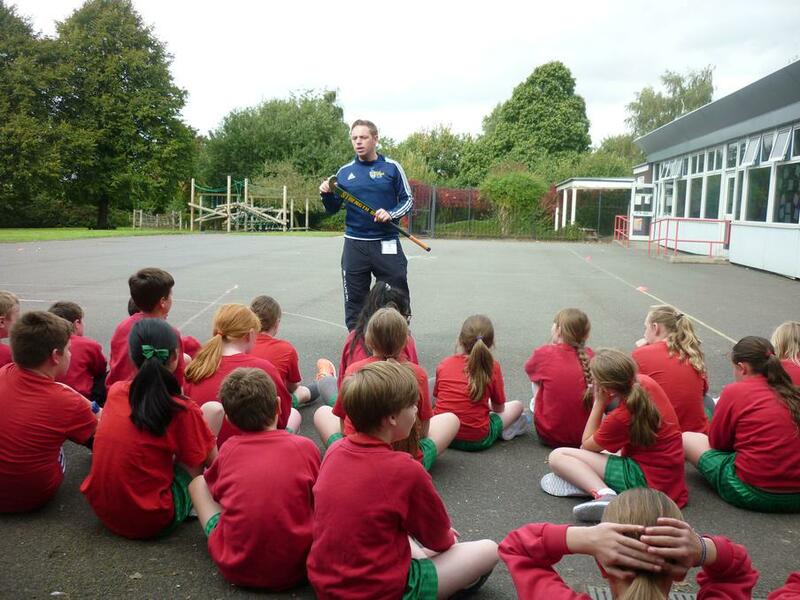 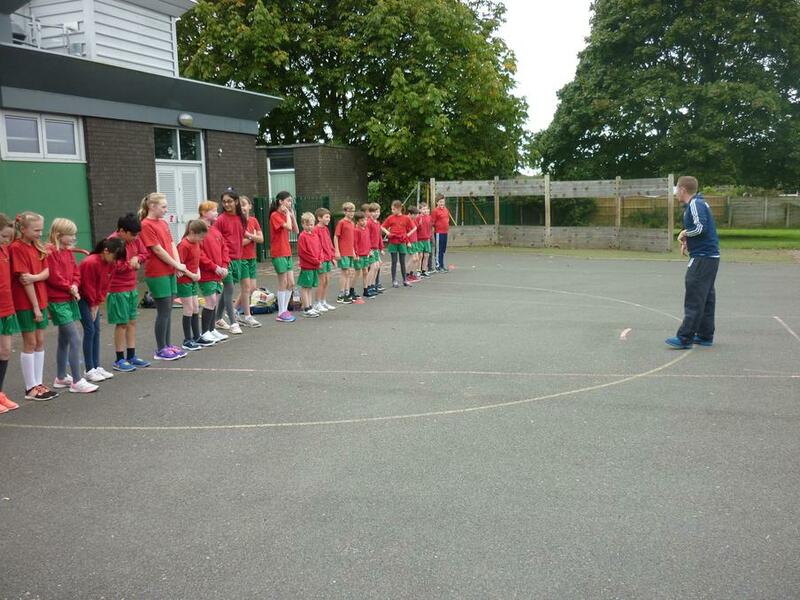 Today (20th September) we started our hockey coaching sessions with Mike. 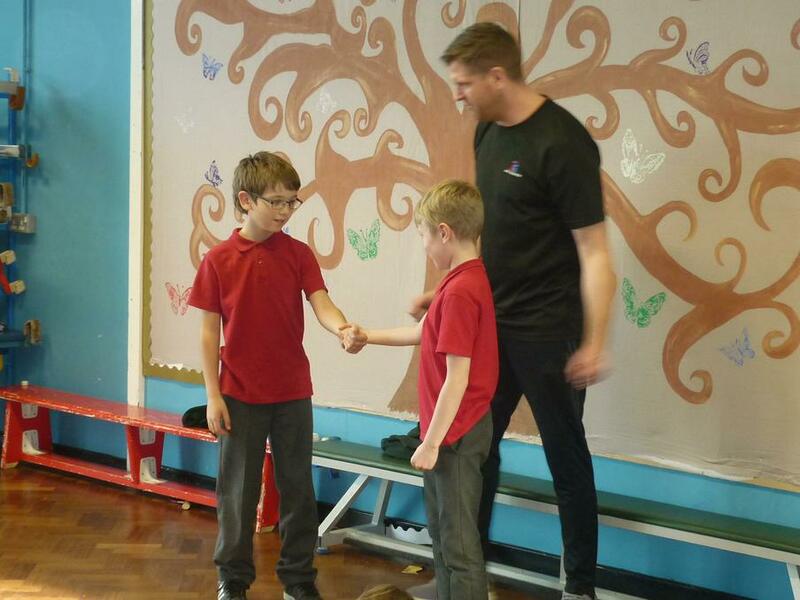 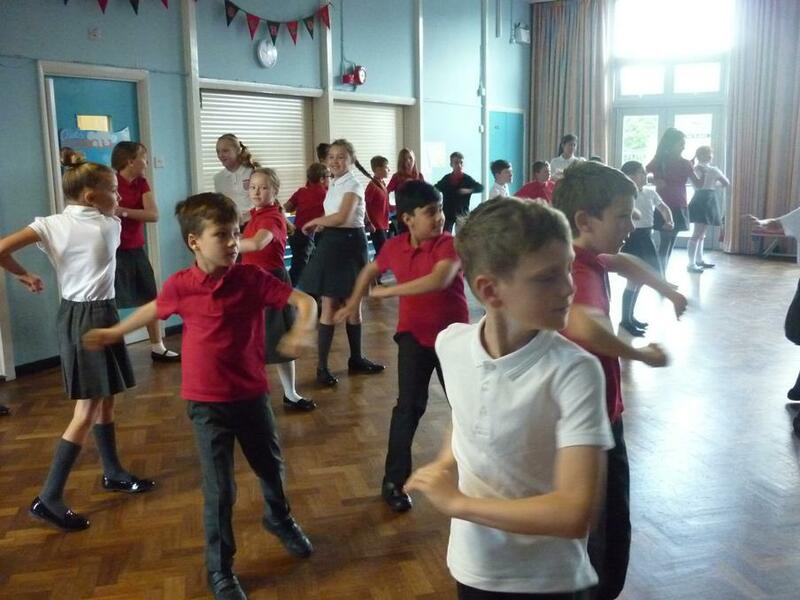 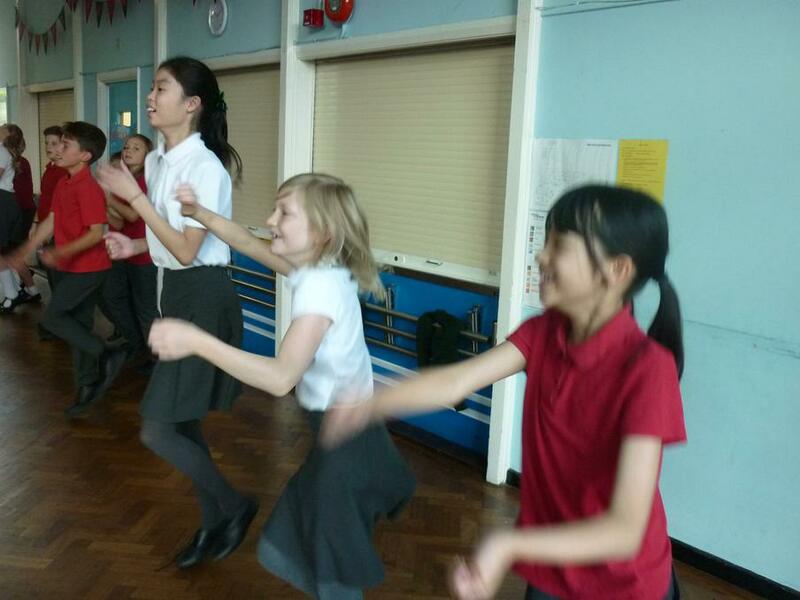 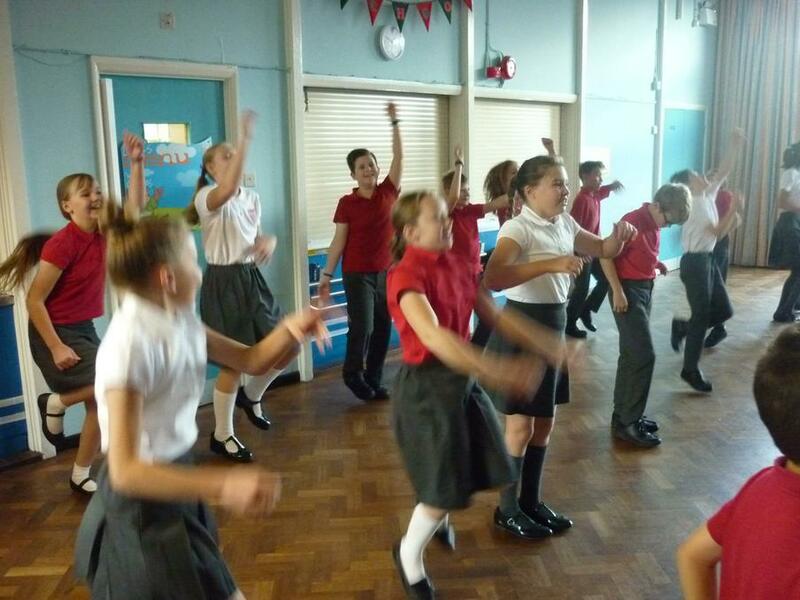 Today we had an exercise session in the hall with Year 5 from the Body Coach who is a Youtuber who promotes exercise and fitness. 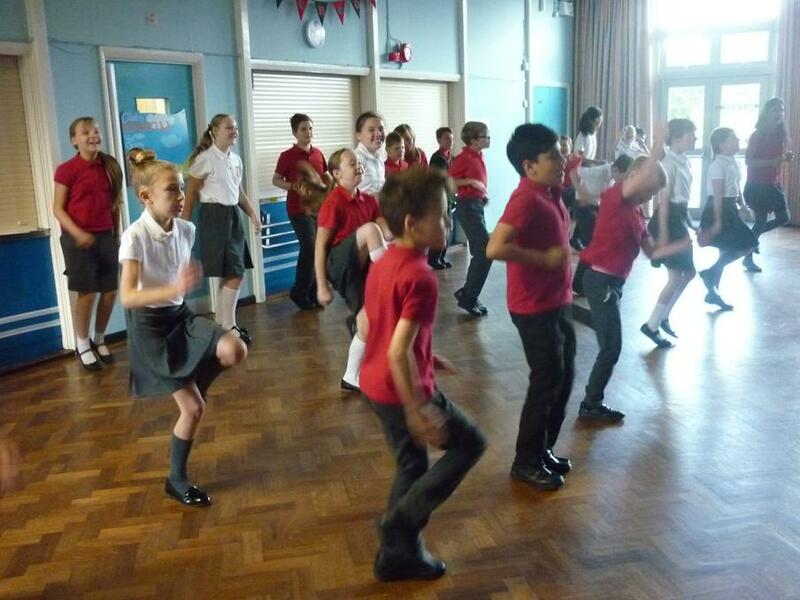 We certainly had a good workout!